Atlas are trial marketing a new Dinky Vans collection. One can tell that it is trial marketing from the fact that the series is not advertised on their website and that the payment slips sent out have no contact telephone numbers just the option to either send them £1.99 or subscribe to the series and get the first model free. 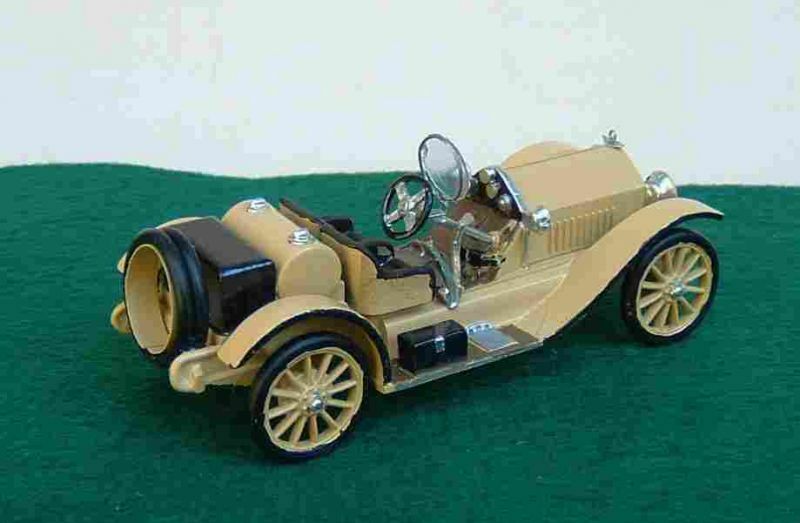 This is the model issued as the first in this series. 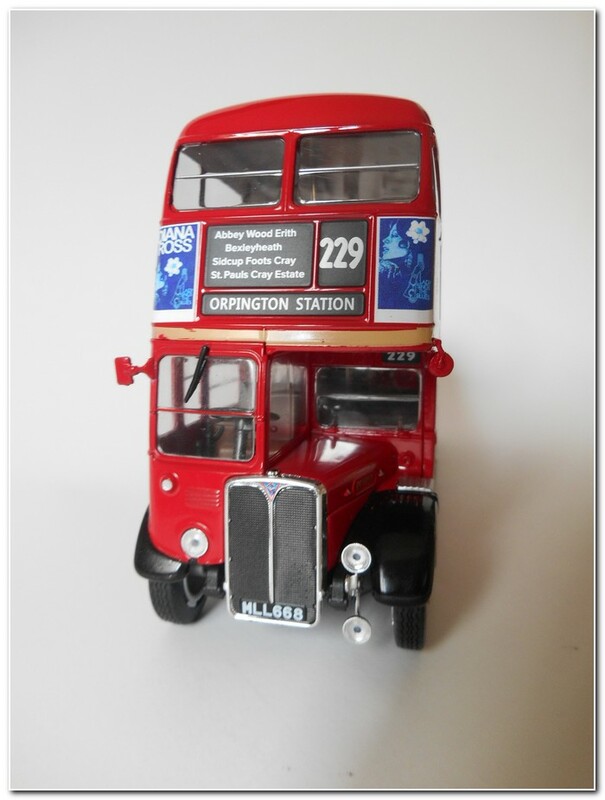 Originally sold by Dinky in 1953 to 1954 and initially numbered 31d and both 31d and 453 are printed on the box. The model is very nicely painted and with a nicely printed logo it is a good replica of the original model. The base plate is again clearly marked as by Editions Atlas copyright Mattel. As usual the masking on the silver painted areas is much better than on the originals and its regularity is one of the signs that these are replicas. 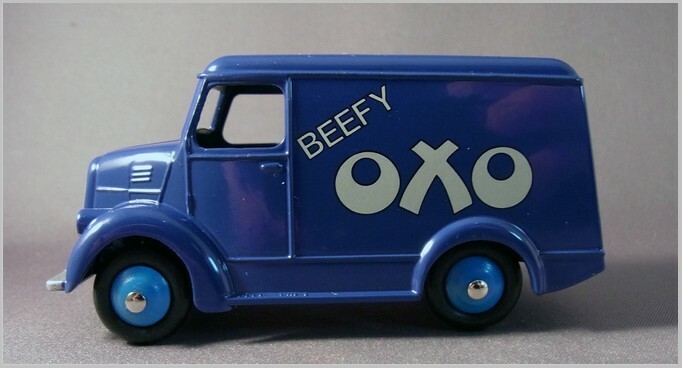 The printed livery is also much crisper than the original Oxo logo but looks accurate in other respects. As usual the models come with a “yellow box” modelled on the original but clearly marked as from Atlas. The models sit in a small plastic tray to minimise damage in transit. 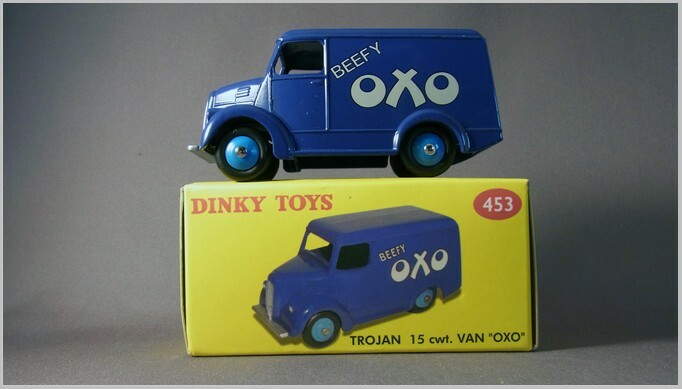 I expect that we will now see the casting in the Atlas Dinky Toys range. If so I hope that they choose one of the other liveries. What else is planned in this range? 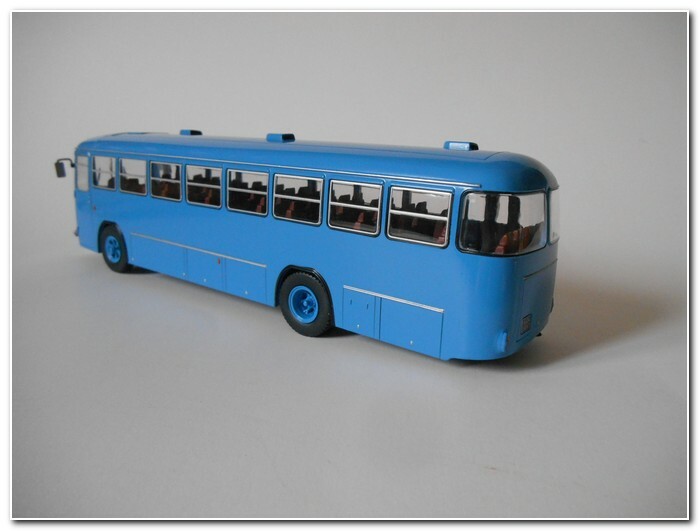 564 Dinky France Renault Estafette Glaziers Truck – they say that this is the first release in UK yet they have already shipped it in the Dinky collection! There is no indication as yet as to whether this series will actually run after all the Dinky Toys with opening parts series test marketed last year has yet to see the light of day. All photographs by the Author except for the picture of three buses below which is from Hachette’s web site. 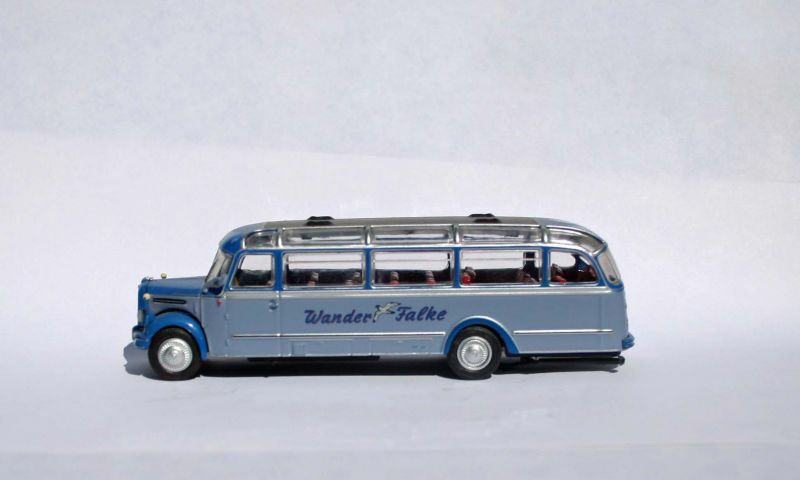 Since February 2016 Hachette Fascicoli Srl, the Italian arm of Lagardère Publishing, has presented a new partwork available at Italian newsstands : “Autobus dal mondo”, a collection of sixty 1:43 scale bus models, very similar to the French partwork “Autobus et autocars du monde”. Models are presented fortnightly in a transparent plastic bubble, with a release order which differs from the French one. Price is set at 19,99 Euro from the third issue. The French collection has already reached more than fifty models and has recently been extended to eighty. It is likely that it will later include the Italian specific models seen in the Italian series. 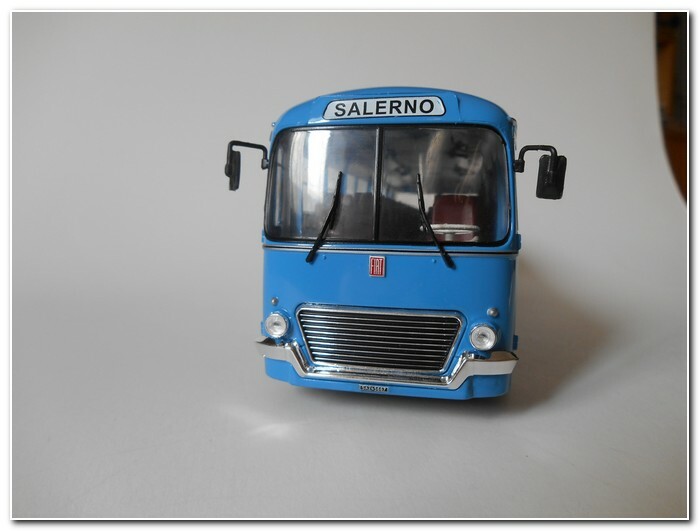 The first model in the Italian series (#20 in the French collection) is a Fiat 306/3 Cansa of 1962: A true national icon, for over twenty years it dominated medium and long distance coach travel in Italy. 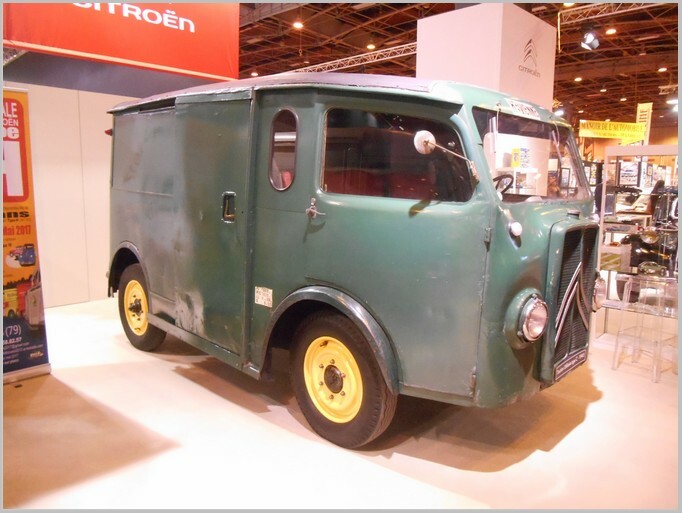 Produced from 1956 by Fiat Veicoli Industriali (Iveco from 1975) to replace the 682RN, it was the first Fiat bus designed from scratch and not derived from a truck chassis. 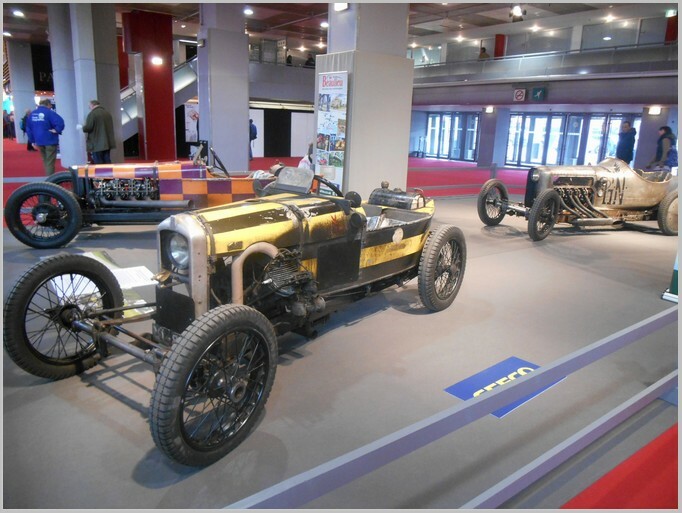 With a length of 11 meters, its main novelty was the flat engine, a diesel straight six, placed centrally under the floor. 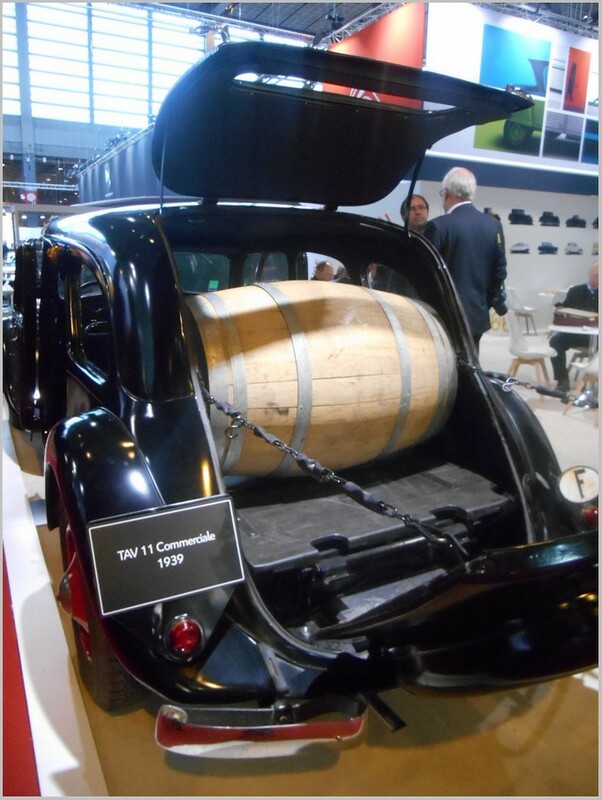 This was of 10.7 to 11.6 litres and 140 to 173 HP depending on the year of production. 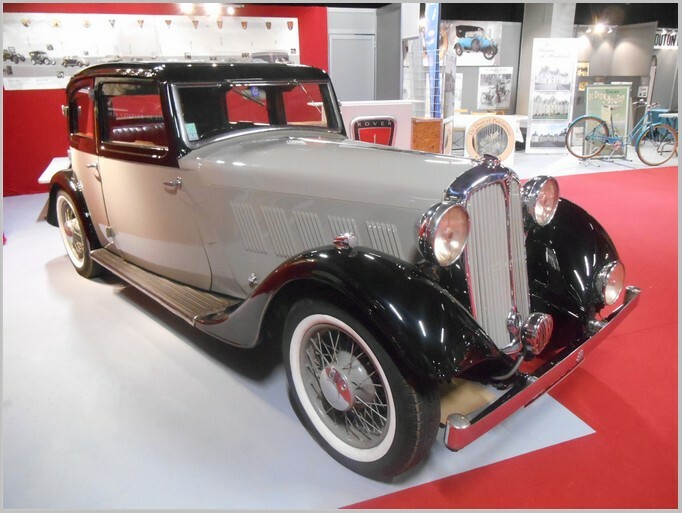 Produced in three successive series (306/3 from 1962) the chassis received bodywork by Padane, Menarini, Orlandi, Viberti and many others, but the usual body was by Cansa, an ex-aeronautical company which was brought into the Fiat Group in 1936, based in Cameri, near Novara. From 1977 the Iveco 370 started to replace the 306, which was produced up to 1982. 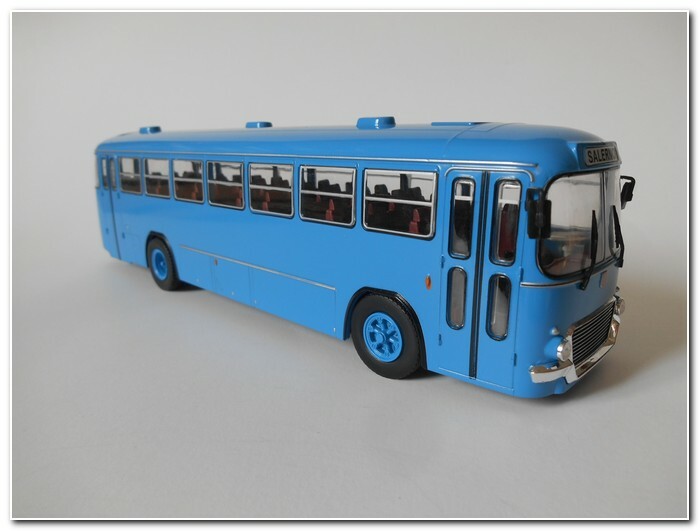 The model, in the “classic” light blue livery, is reproduced quite faithfully and it is indeed the correct choice for the start of the “Italian collection”. 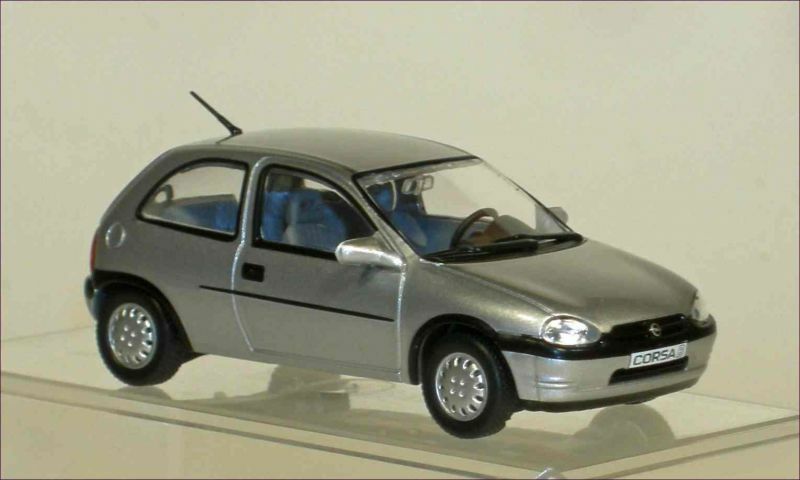 The body is plastic, while the metal chassis adds “substance” to the model. Dashboard and interior are well reproduced, the only difference with the French edition seems to be a missing decal near the left front door. One issue with this series is the absence of a box which is needed to store them, after all you cannot display them all the time. 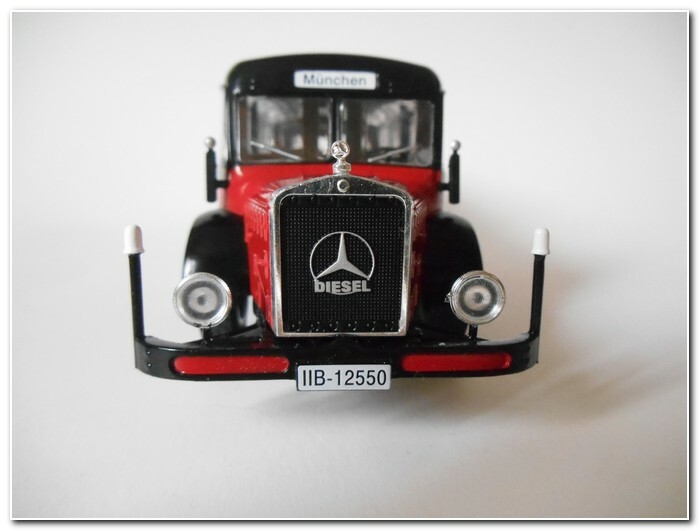 The second model (#4 in the French collection) is a Mercedes-Benz O10000 1938. 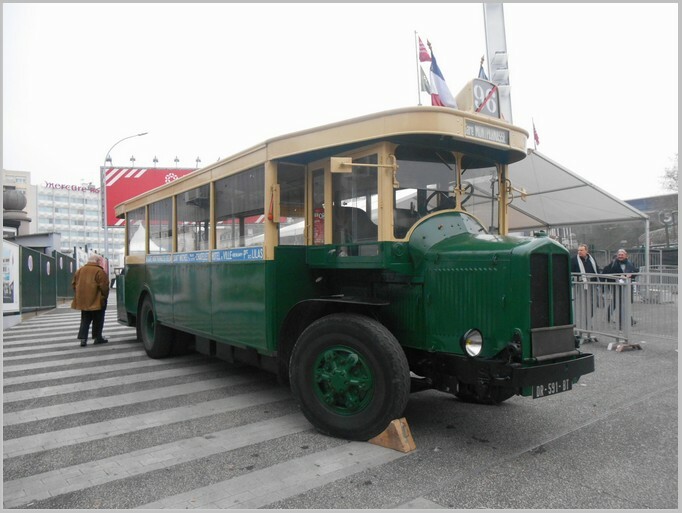 A real “king” among the Mercedes-Benz buses and until the Second World War the largest one ever produced. 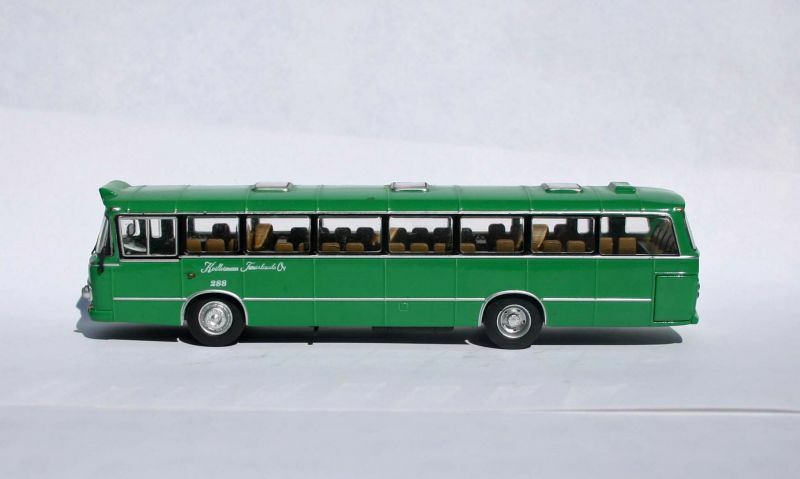 Its model name O10000, instead of the more common LO, highlighted the fact that its chassis was derived from that of the L10000 truck , but much modified for transporting passengers. 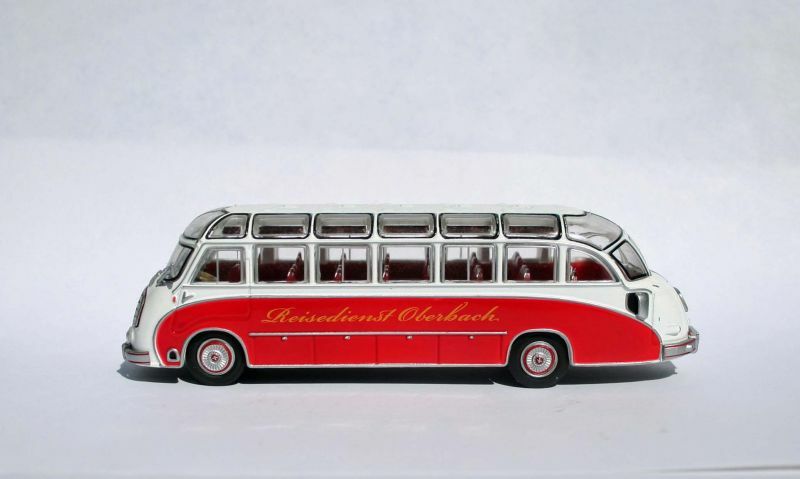 Designed mainly for long distance travels, it was also tested as a double-decker by BVG for use in Berlin, but its length limited its use and a total of less than 400 units were produced. 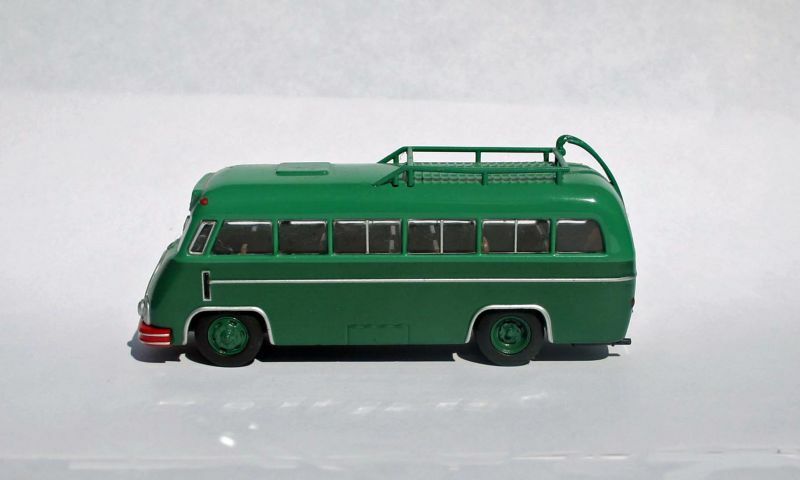 The Reichpost ordered 160 units, to use for its postal and passenger services on the new “autobahns”, but the fuel consumption was high and at the end of the war some of the still quite new vehicles were used by the Deutsche Bundespost as mobile post offices between the larger towns. 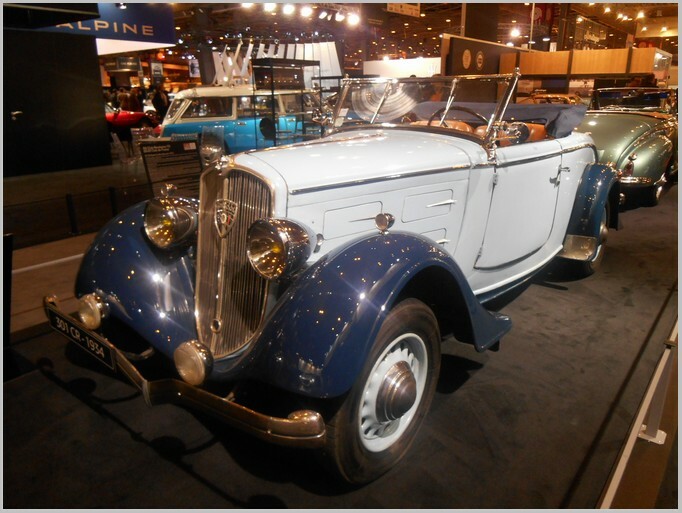 When production started in 1937 the engine was a 12.5 litre diesel straight six, but in 1938 that was replaced by a “fast” 11.2 litre diesel and the wheelbase further stretched to 6300 mm. 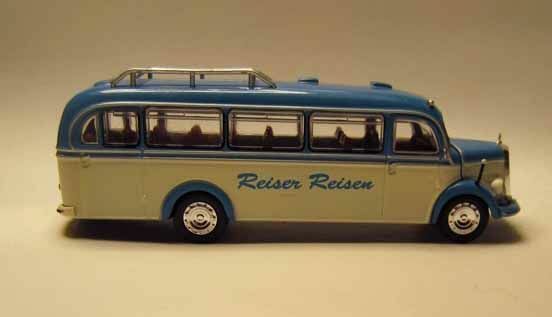 The body is by Kässbohrer, more commonly known as Setra after the war. The model is really imposing, the red and black livery and the protruding nose adding to the whole impression of brute power. There is a plastic body and metal chassis as usual. 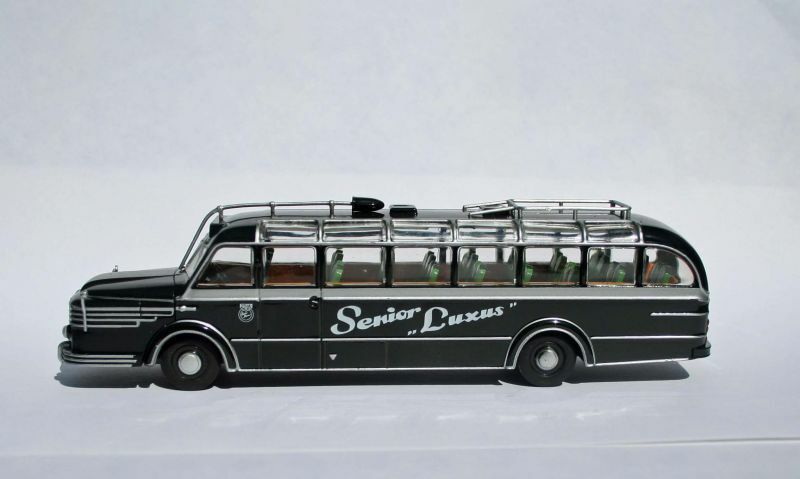 Baggage on the roof rack and a detailed interior, as well as the two entry doors. reflect the fact that this bus is for long distance runs. 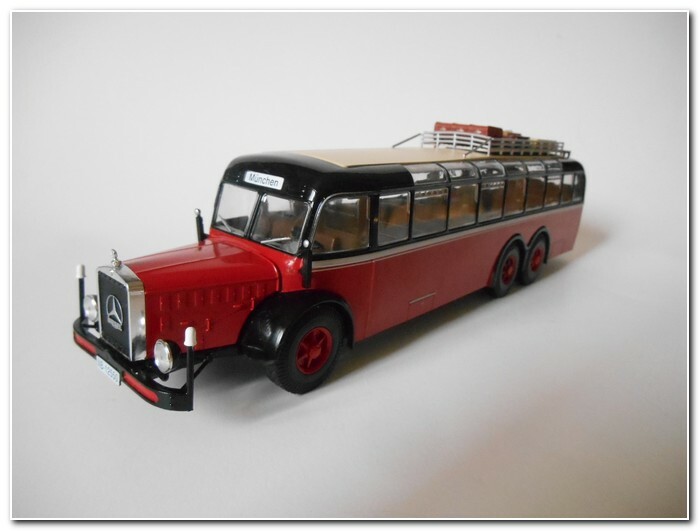 The radiator and the Mercedes-Benz star are nicely modelled. 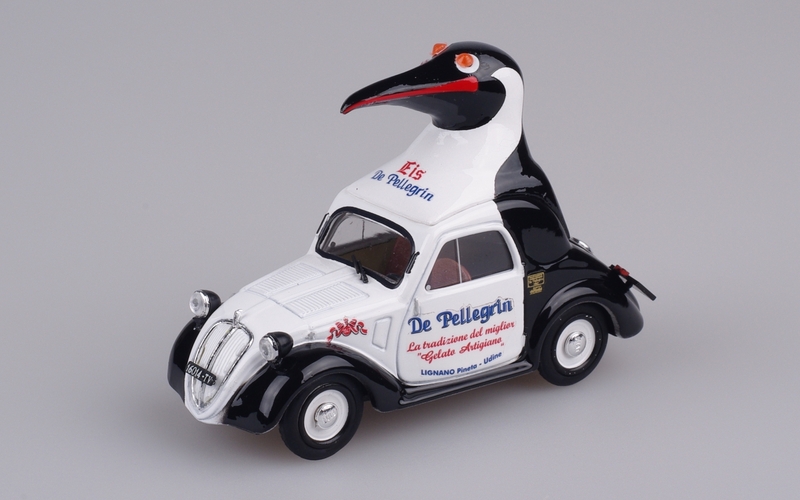 There are no differences to the model already shown in the French edition. 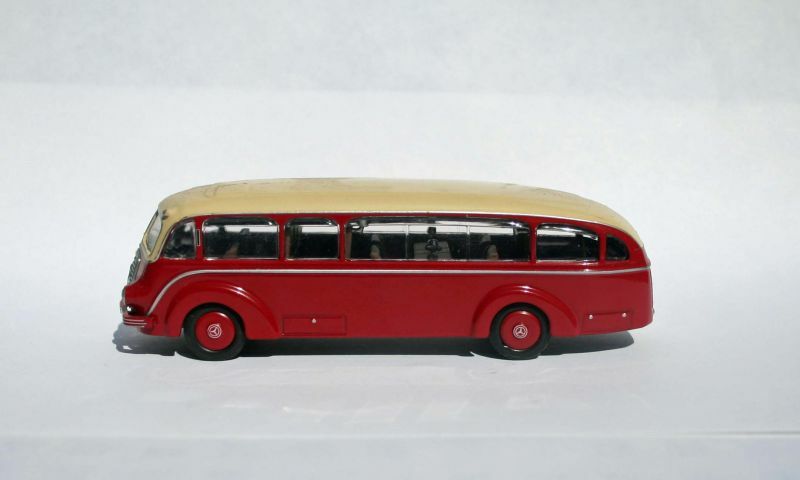 The third model (#5 in the French collection) is an AEC Regent III London bus of 1939 – What’s more British than a red double-decker ? At least according to the usual stereotypes, because you could find the same buses in Toronto and then start wondering if you had boarded the wrong plane. Big Ben, a black taxi and a red bus have been a well known image of London for so many years, probably for longer than you have been alive. It was 1911 when the LGOC (London General Omnibus Company) designed its first double-decker and the following year its new subsidiary AEC (Associated Equipment Company) started its production. 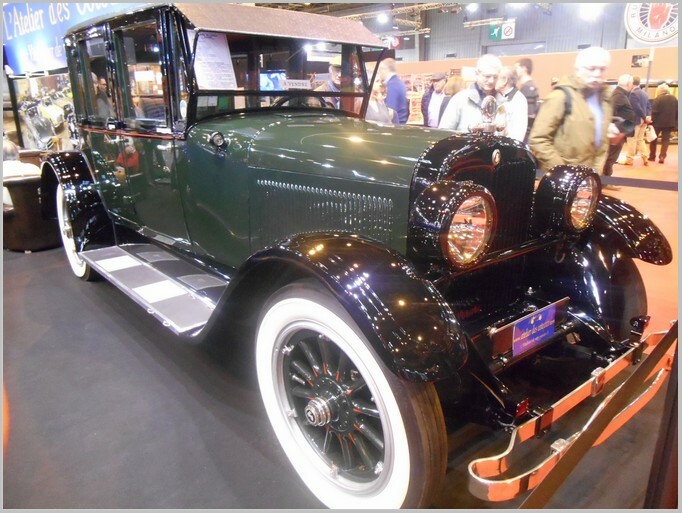 In 1929 the first Regent was born, following the example of Leyland it has a lower chassis, an inside rear staircase and platform, and a enclosed driver cab, to the side of the engine. After the nationalisation of the London Transport, AEC becomes a private company, but maintains privileged relations with it and in 1938 presents the prototype of the Regent III RT, reserved to London Transport only. The engine is a diesel straight six of 9.6 litres and producing 115 HP. It was fitted with a pre-selector gearbox made by Wilson . First bodies were produced in London Transport workshops and subcontracted to outside body builders after the war and were updated as production took place. 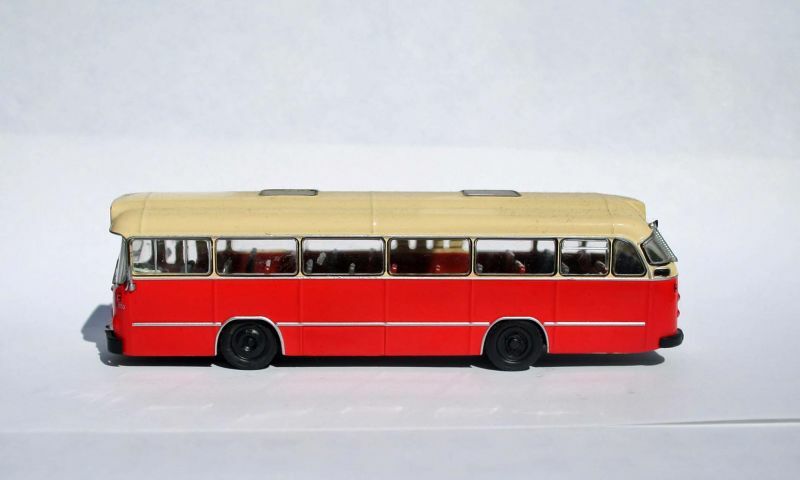 Weymann produced about eighty Regent RLH buses with a lower height for London Country, which had many routes where the railway bridges were too low for the standard Regent. 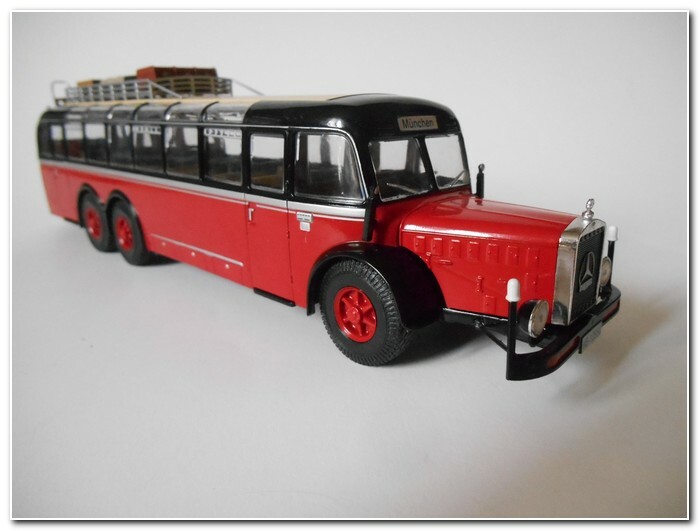 The model is quite heavy despite its small size, very well detailed and “classic” in its red livery, but many would have preferred some more colourful advertising. There are no differences to the French edition. 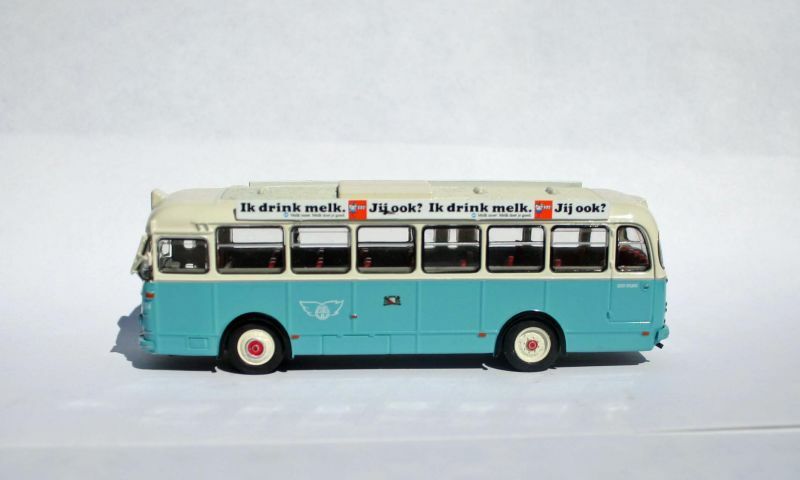 Editor’s comment: The adverts carried by the bus are of Diana Ross in Lady Sings the Blues which was released in 1972 so the model probably represents a bus from the later years of production. The last service operated by a London Transport Regent ran in 1979. This posting has been adapted from articles originally published on mar.zeteo.com in order to preserve them once that site ceases to exist. Parts prior #68 were reviewed in the printed Model Auto Review magazine. This collection finished in 2016. The first Corsa, which fitted into the Opel range below the Kadett, was introduced in September 1982 as three-door hatchback and two-door saloon. In April 1985, a four-door saloon was added, and in September 1985, the Corsa was the first German small car to be fitted with a three-way catalytic converter and lambda-measuring head. 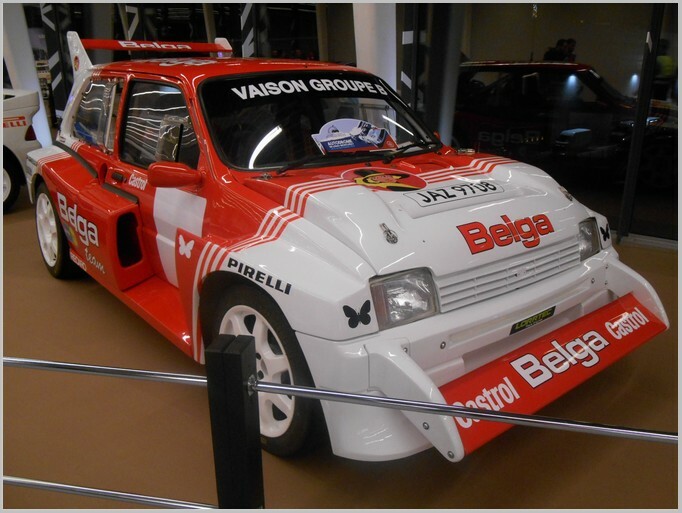 In July 1993 it was replaced by the Corsa B. The model is authentic, with an accurately shaped body painted in bright red, and an interior moulded in black. The wheels are good replicas. A number of separate parts are used but the baseplate has only limited detail. In October 1995 the Vectra A was replaced. 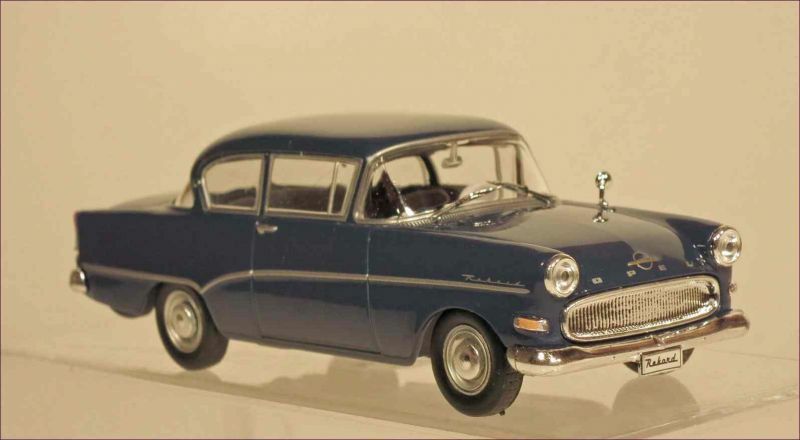 Saloons, hatchbacks and an estate, called the Caravan as usual for Opel, were produced. 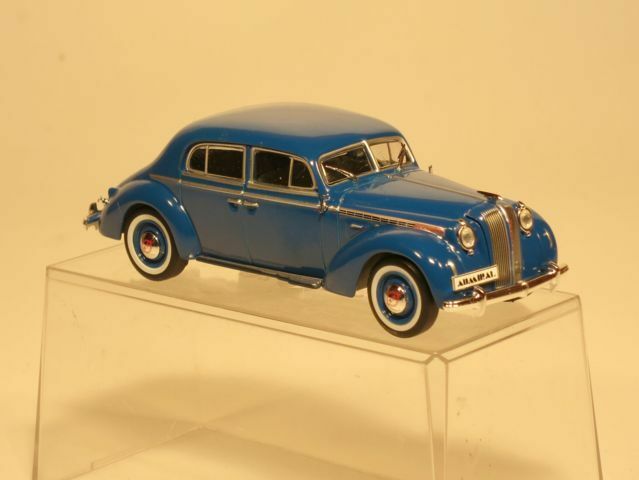 This model is of the saloon and is authentically shaped and painted in blue. The interior is moulded in black but the seats are also printed with a typical diamond-shaped pattern. A number of separate parts are used and the wheels are true to the originals. Again the baseplate has only basic detail. A new Kapitan was introduced in July 1955. 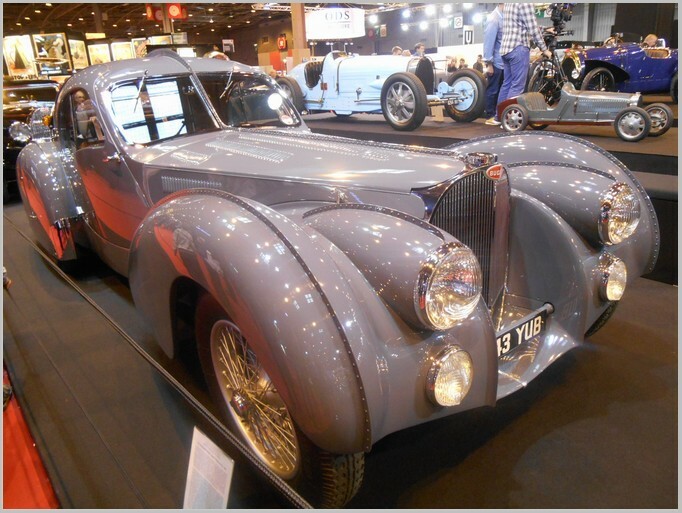 It was larger than its predecessor and a straight 6 cylinder engine which developed 75 hp at 3900 rpm. The front wheels had independant suspension and the rear ones were on a rigid axle with leaf springs. 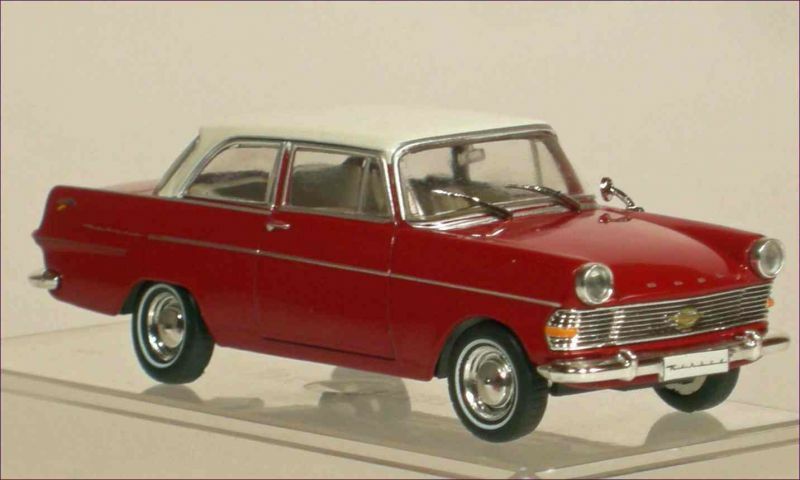 On November 9th 1956 the 2,000,000th Opel car left the assembly line, it was a Kapitan, which can still be seen today in Opel’s car collection. It was finished with gold metallic paint and instead of chrome many parts were gold-plated. 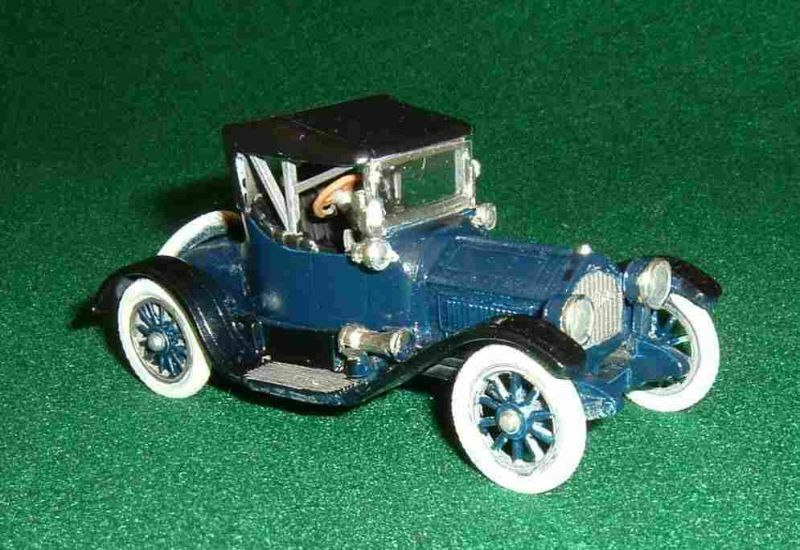 This miniature is of a normal production car and is well shaped, and features many separate parts. It is painted sahara-yellow and it has a light grey interior. Its appearance is enhanced by the wide white-walls on the tyres. 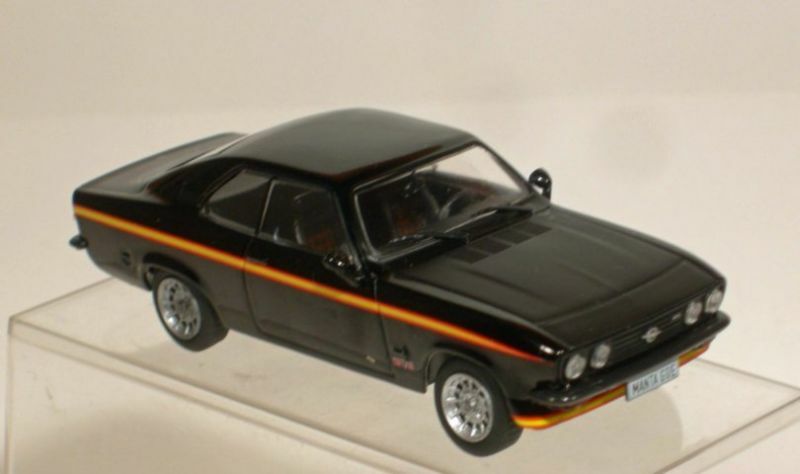 The hottest of all Manta A cars was named “Black Magic”. 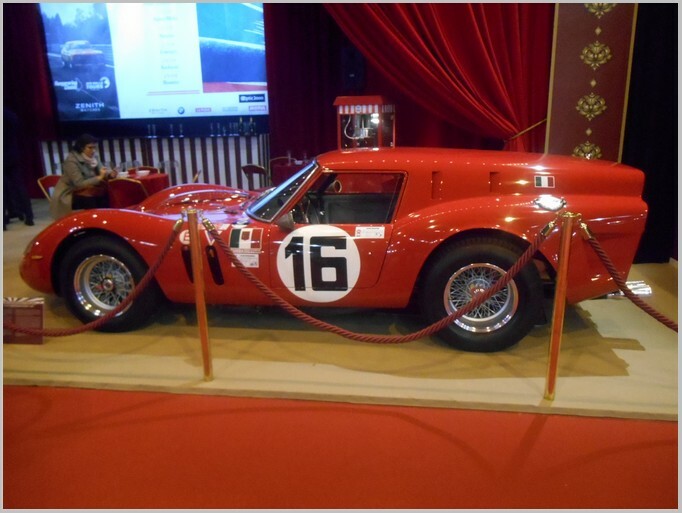 It was fitted with a four-cylinder 1.9 litre engine which produced 105 hp at 5400 rpm. It had a claimed top speed of 188 km/h. This model is very authentic. 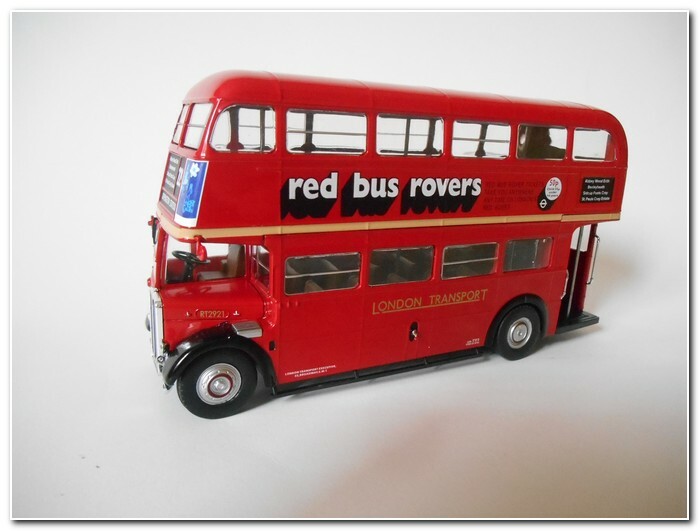 The body is accurately reproduced and finished with a matt black bonnet and the characteristic red and yellow stripes. There are many separate parts and the interior was moulded in black with seats printed with the an authentic textile design. The wheels are not authentic and are based on the type of product available as an accessory from other suppliers at the time. As with all this range a basic baseplate is provided. The Manta B was launched in August 1975 as a saloon car. In September 1978 the CC hatchback version with a tailgate followed. 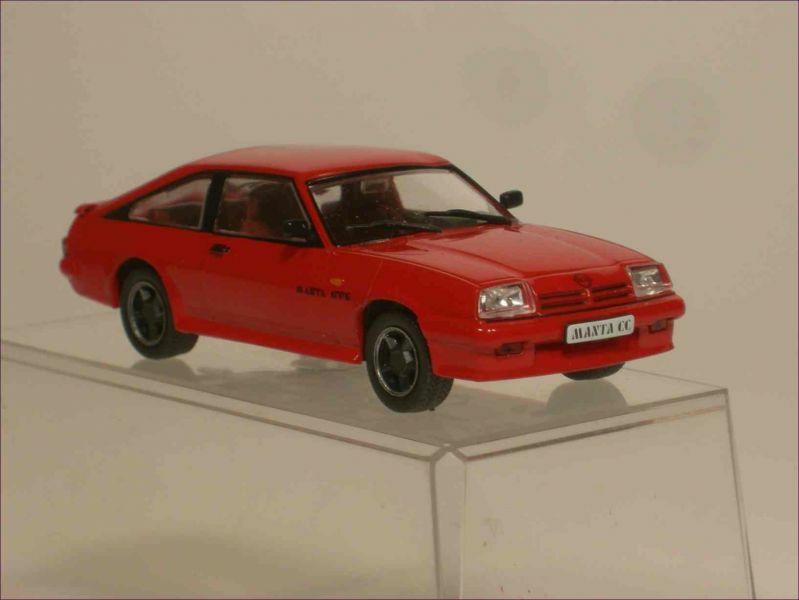 In the 1980s the Manta became a the subject of jokes and in 1991 the movie “Manta, Manta” portayed the Manta as ‘prole’ car, which the Opel promotion department very much disliked. In spite of this all the Manta B was quite successful. 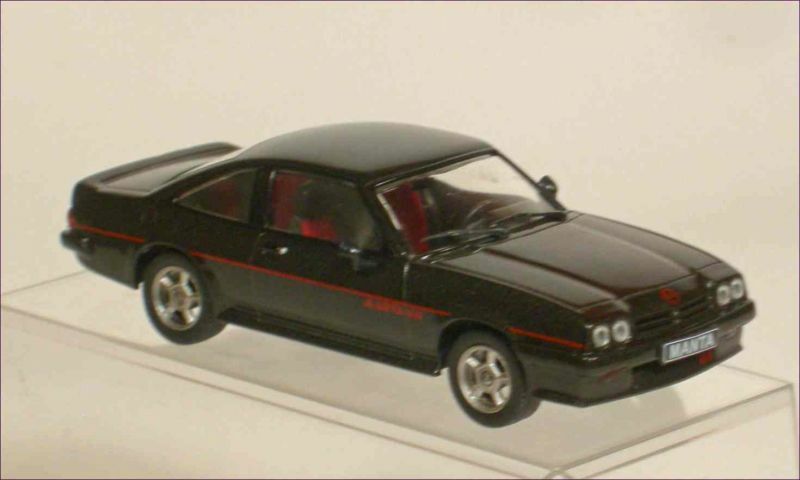 Over the years, a number of Manta B models have been released, but all were of the coupe. Now we have a model of the CC in this collection. 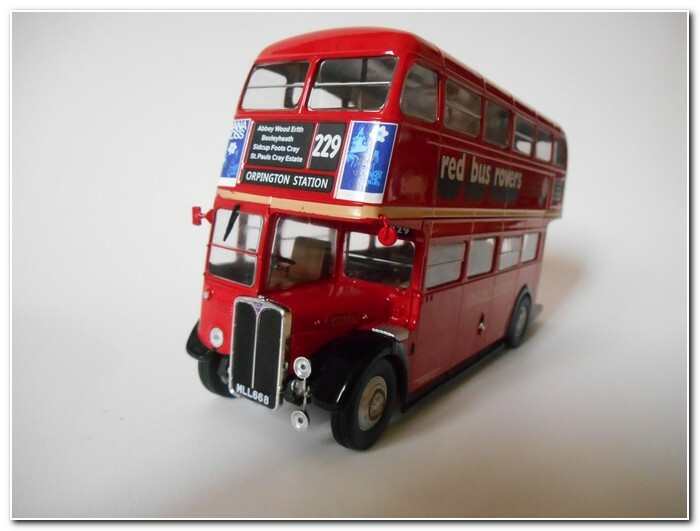 The model is excellently detailed with the body painted in bright red. It is the GT/E-version of 1982, which can be determined by the position of the mirrors. The interior is also true to the original as are the wheel rims. The baseplate has only limited detail. 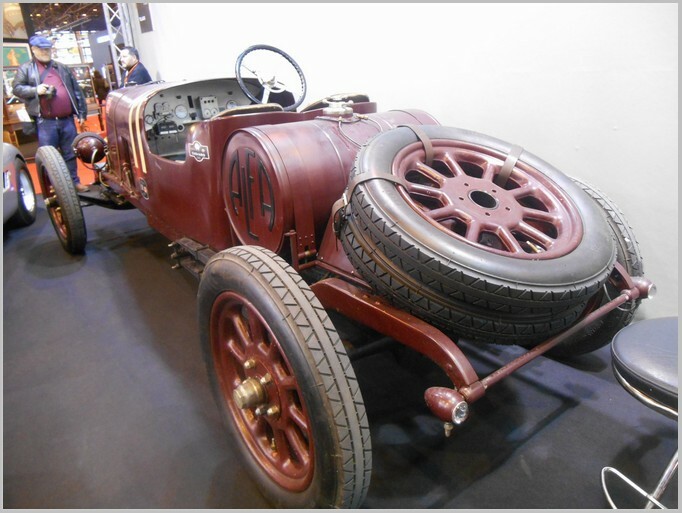 The Ascona Type C was introduced in three body-versions like its predecessors: two and four door saloons; and a five door hatchback. In January 1985, the Ascona 1.8 litre was the first Opel car fitted with a controlled three-way catalytic converter. The model comes as a saloon with the 1987 modelyear facelift. 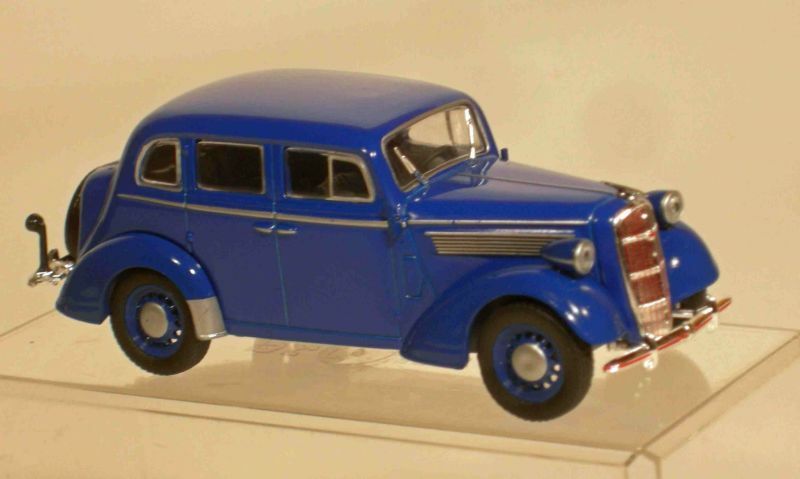 The radiator grille is correctly painted in body colour. It is finished as the GT edition with the body painted in blue and fitted with black rubber spoiler on the boot lid. A very good detailed interior is finished in light grey and blue. Wheel rims are true to the originals. Again the baseplate has minimal detail. 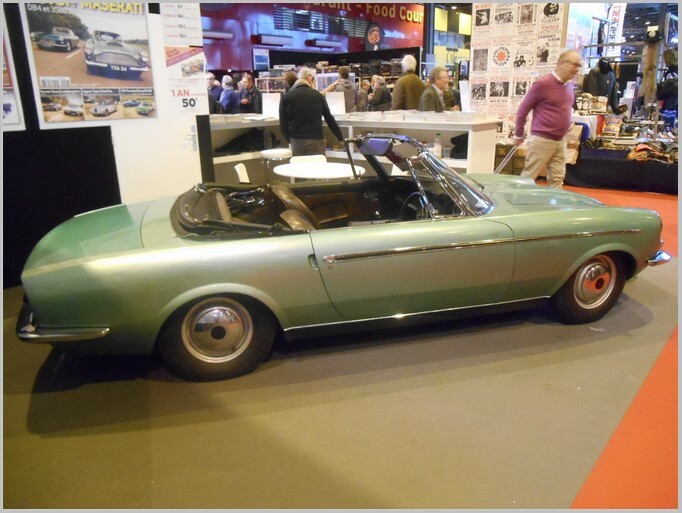 The two door Olympia Rekord was the last evolution step of the saloon which was originally introduced in 1953. Its design was similar to the 1956 version of the Kapitan. 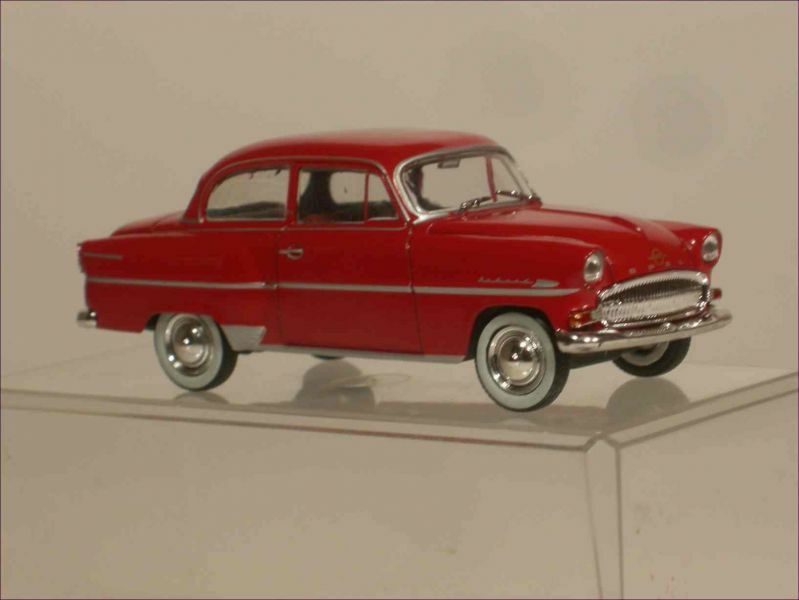 Painted in bright red, the model has an accurate shape. Radiator grille, bumpers and hub caps are chome-plated, the other mouldings are tampo printed in silver. An accurate interior is fitted and the overall appearance is complemented by neat whitewall tyres. Again the baseplate has minimal detail. The Monza has been revisited. In this case it is in the original version as it was launched in May 1978. The body is painted in light blue metallic with a faithfully executed interior in black. The excellent wheels are also worthy of comment. The baseplate has limited detail as usual. The Cadet B Caravan was launched at the Frankfurt Motorshow in 1965. It appealed to workmen needing a cheap but spacious vehicle that had the space for both the family and the tools of the trade. It came in three and five door versions. 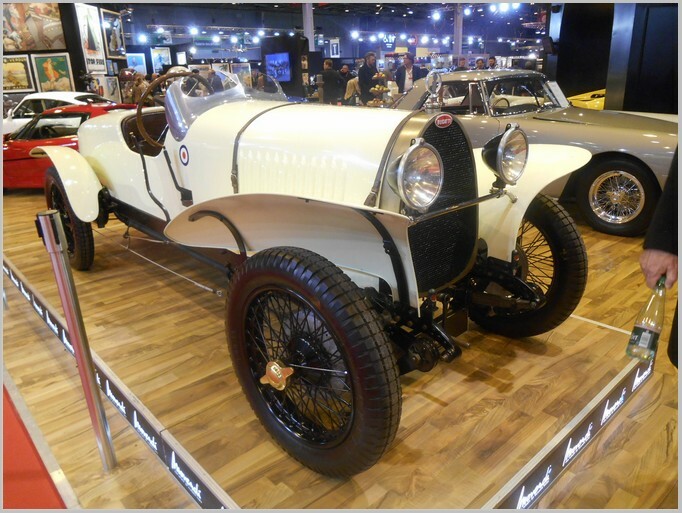 The basic version was fitted with a 1100 cc engine, which developed 45 hp at 5.000 rpm. 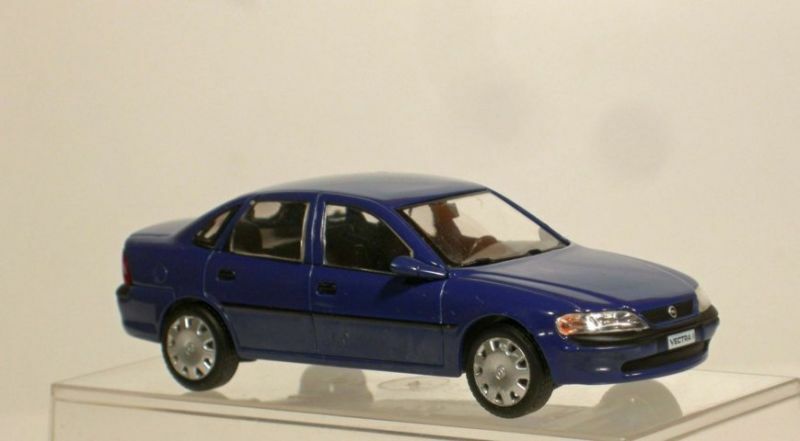 The model is a realistic shape and is of a three-door version. 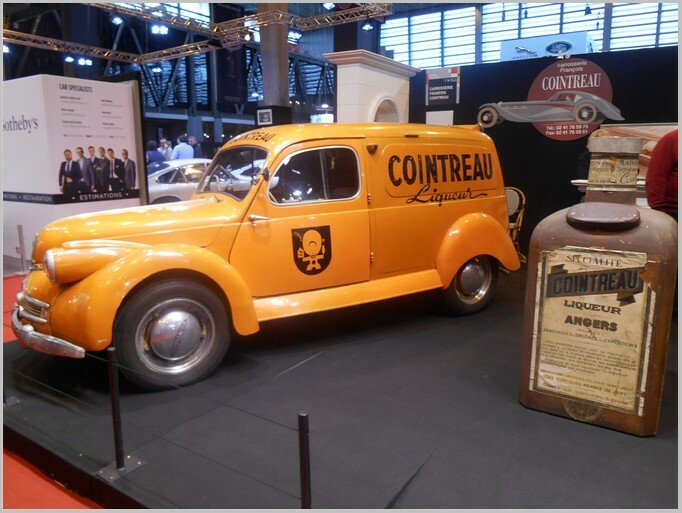 It is painted in ochre, which is true to an original colour, and is fitted with black interior. Bumpers, hub caps and roof rack are plated and lights are separately fitted. The base plate has quite a bit of detail moulded in for this series. Production of the Rekord E started in August 1977. The estate, again named Caravan, was available with three or five doors or as delivery van with closed side windows. 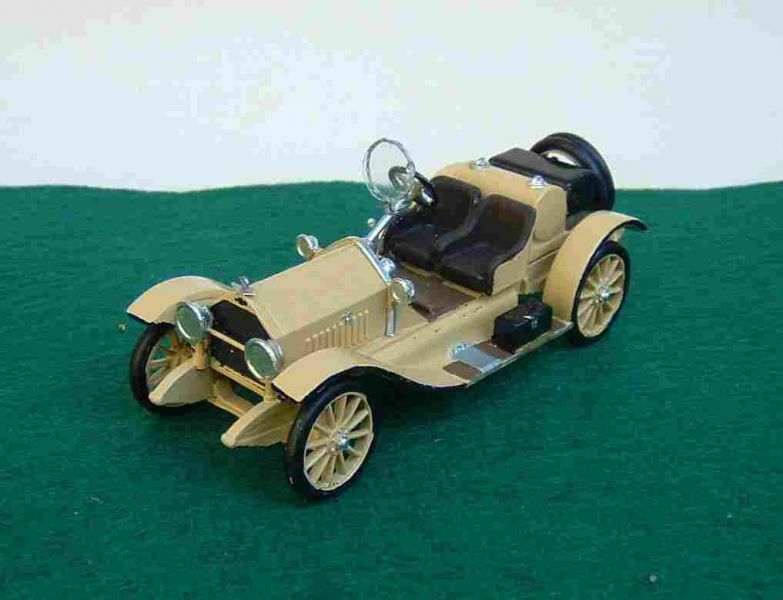 The miniature is an excellent representation of the original vehicle which was designed by the American Henry Haga. 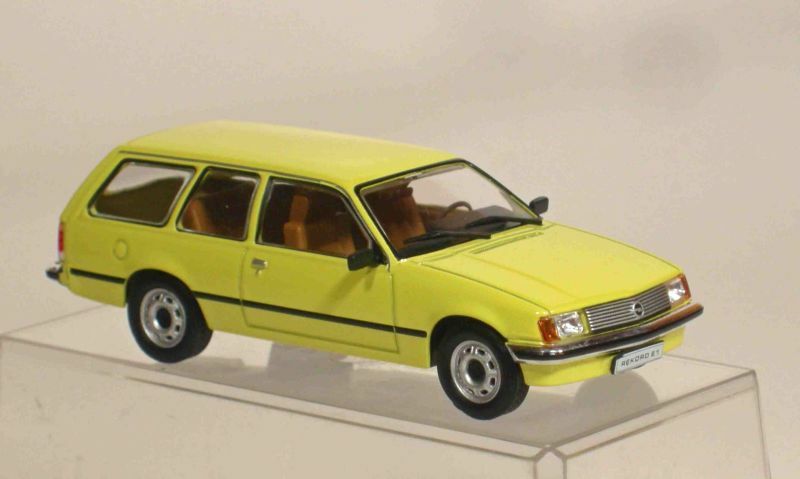 The model is of the three-door version and is painted in yellow and fitted with a brown interior. Dashboard, steering wheel and centre console are authentic. The bumpers are plated, radiator grille is silver painted and the body side mouldings are in black. Baseplate has only basic details. The Bedford CF was launched in Britain in 1969. The contemporary Opel Blitz was rather out of date at the time and importing the Bedford and selling it as an Opel from 1973 was a makeshift solution. 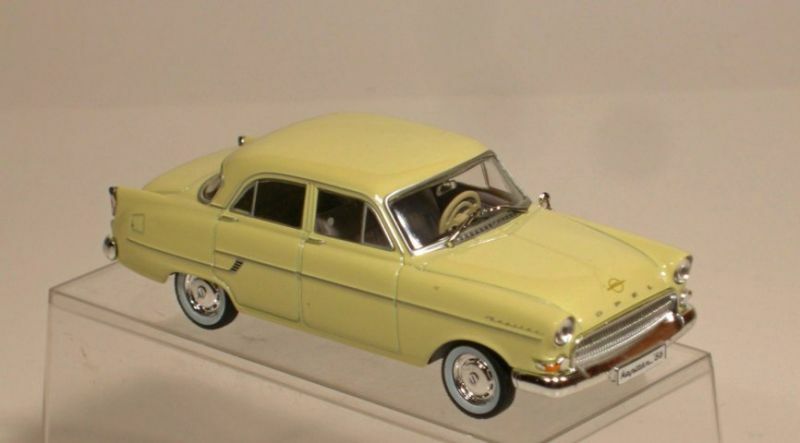 Quality problems affected sales so GM decided that Opel should concentrate their activities on passenger cars. 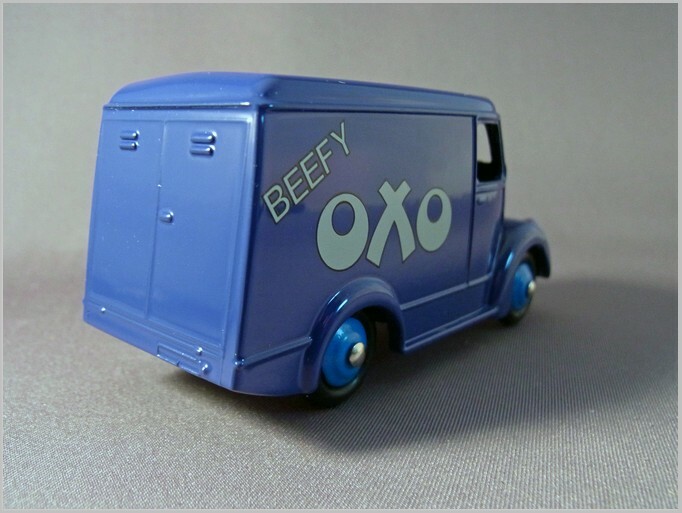 The Bedford Blitz is modelled as a delivery van. It is authentically shaped and painted in orange and light cream. Separate lights are used and bumpers and hub caps are plated. The emblems are neatly printed. Baseplate has moderate detail. Production of the Opel 6 started in January 1934. 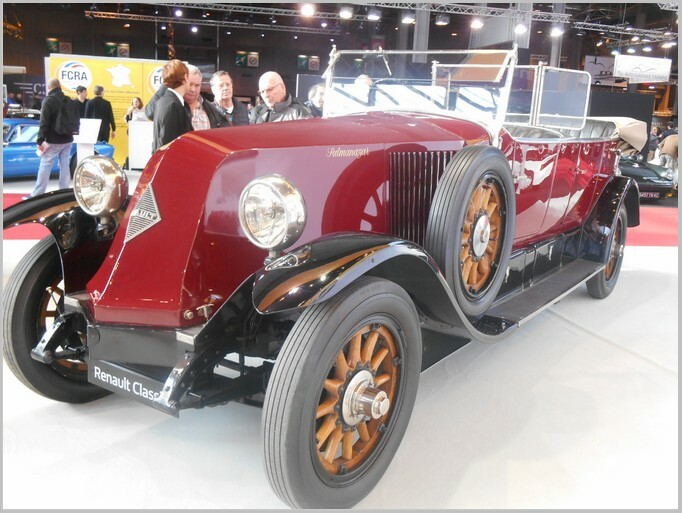 It was fitted with a 6-cylinder engine, which developed 36 horsepower from 1932 cc. 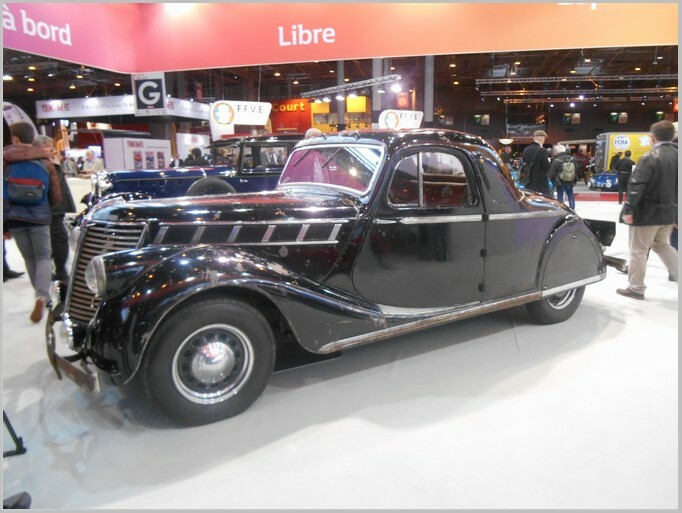 Then in 1937 the car was facelifted and the engine was developed to produce 55 horsepower from 2473 cc. It was named ‘Super 6’. 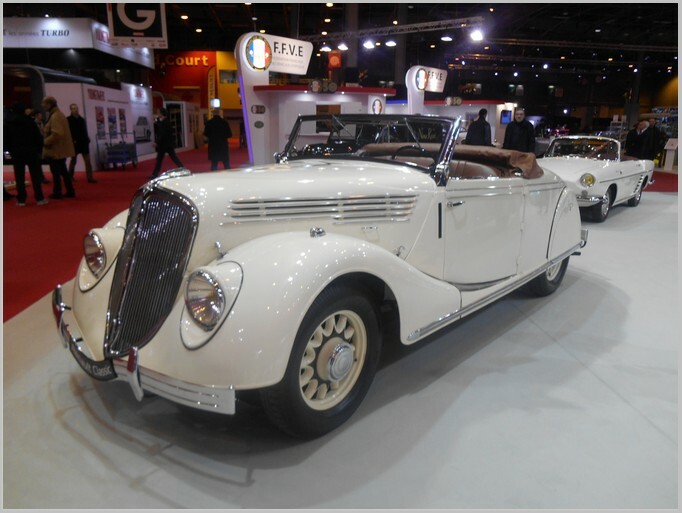 In 1938, the Super 6 was succeeded by the newly introduced Kapitan. This model is well shaped and detailed. It has a medium blue and a light grey interior. Lights are neatly done as separately inserted items. The radiator grille and bumpers are plated, and other mouldings printed in silver. The interior is realistic. The baseplate has a little more detail than usual for this series. 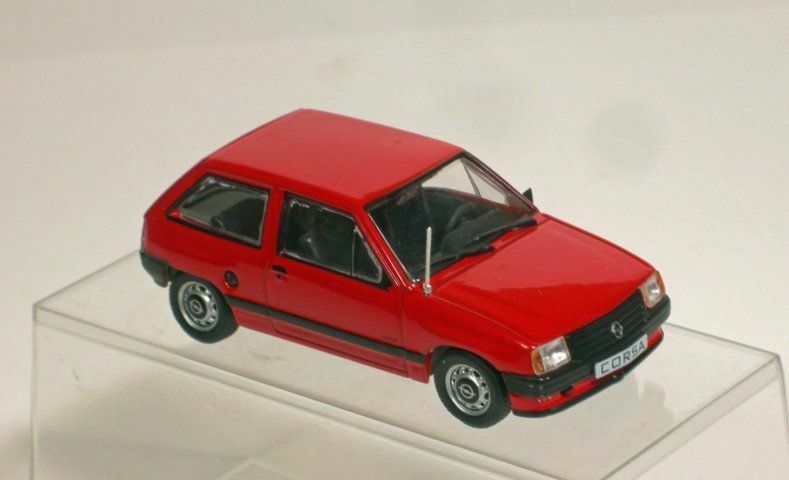 The second generation Opel Corsa was launched at Geneva Motor Show in March 1993. The first version to be seen was the three door version, as modelled here. Unusually for a small car the Corsa was equipped with ABS, even on the basic version, as well as side impact protection, and a driver airbag. The launch advertising in Germany featured a character double of Queen Elizabeth II. The model is finished in star silver with a light grey interior. The plastic inserts in the bumpers and around the wheel arches are painted black. The steering wheel and interior are faithfully detailed. The Manta Type B was produced from August 1975 to June 1988. 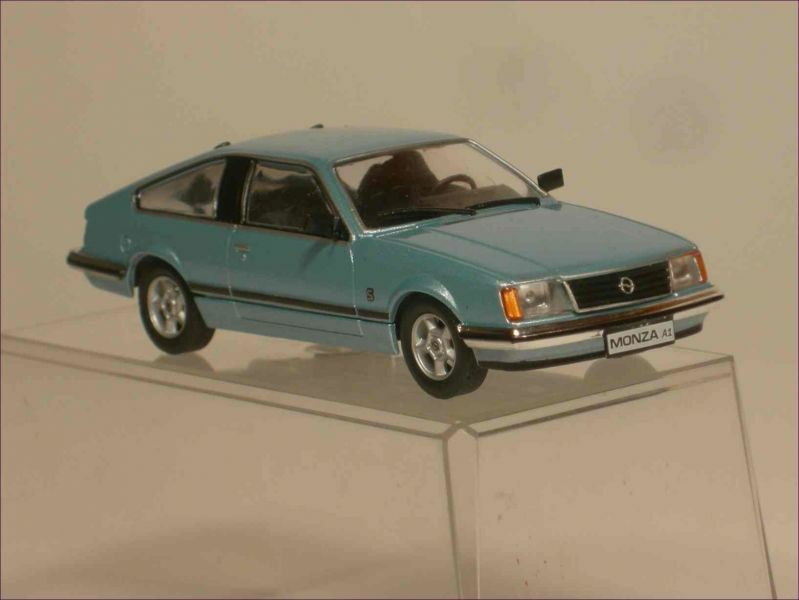 Based on the Ascona it had the front axle from the Kadett C. In the UK it was offered with right-hand drive as the Vauxhall Cavalier Coupe. 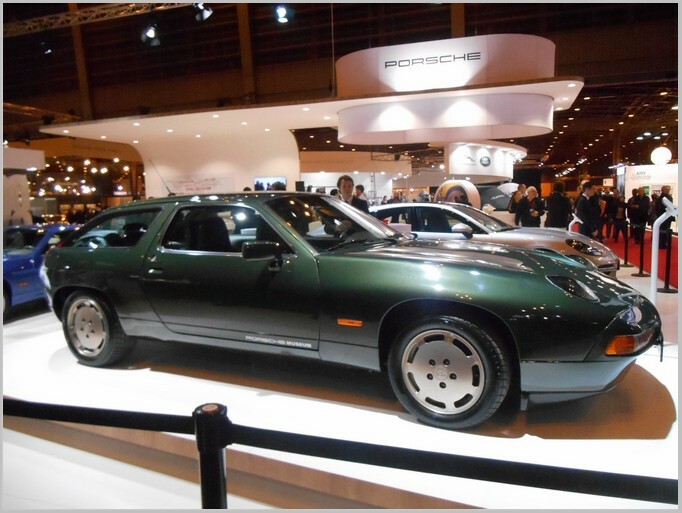 The model is of the top of the range version of the Manta, which was powered by a 110bhp two litre four-cylinder in line engine. This model captures the original well, and is finished in metallic black. The accurate detailed interior is finished in black and red. The ‘Manta GSI’ badges and the trim lines are printed in red, but some are not totally accurate. The wheels are authentic, however. This casting has been seen before in the range. 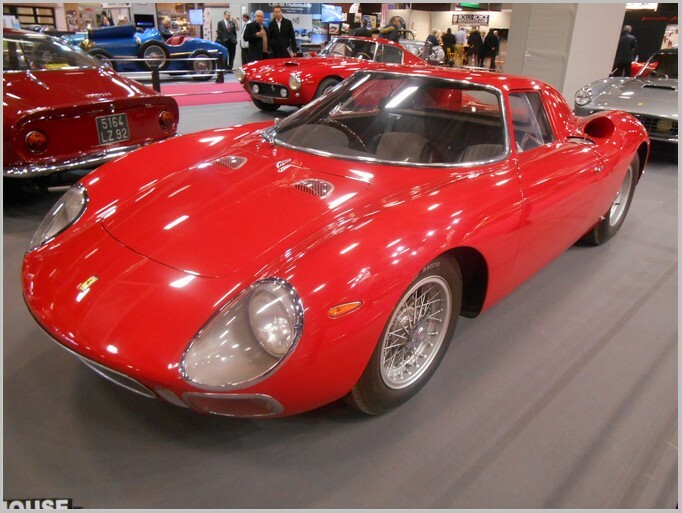 It is now finished in different colours; the body in ruby red, the roof in chamonix white, with a white interior. The radiator grille and bumpers are chrome plated, and mouldings are silver printed. The whitewall tyres look very good on this model. 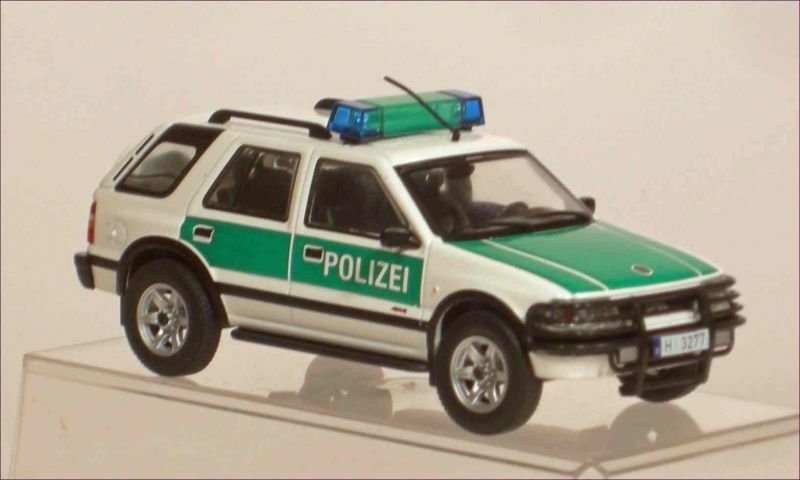 The Opel Frontera was a popular vehicle with the Polizei, as it was reliable, roomy, and had four-wheel drive, so it could be used off and on road. 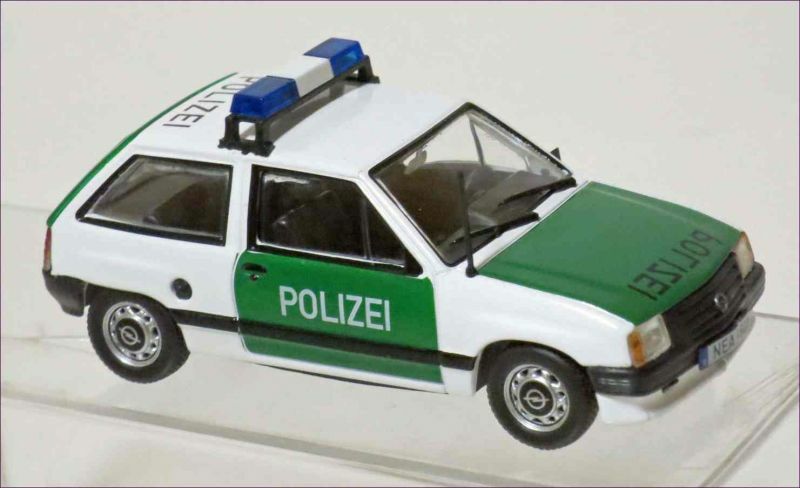 This casting has been seen before in the range in civilian finish, but now it is finished in classic white and green with Polizei markings, and a blue light bar. 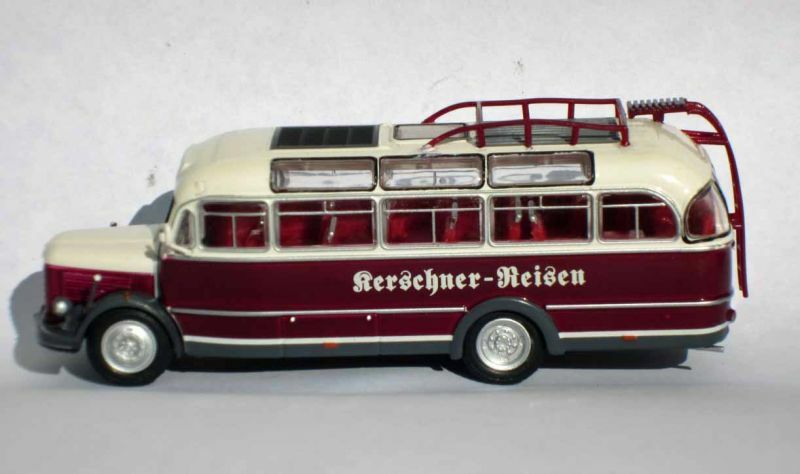 It has German registration plates from Hanover, the capital city of Lower Saxony. The wheels are accurately reproduced. 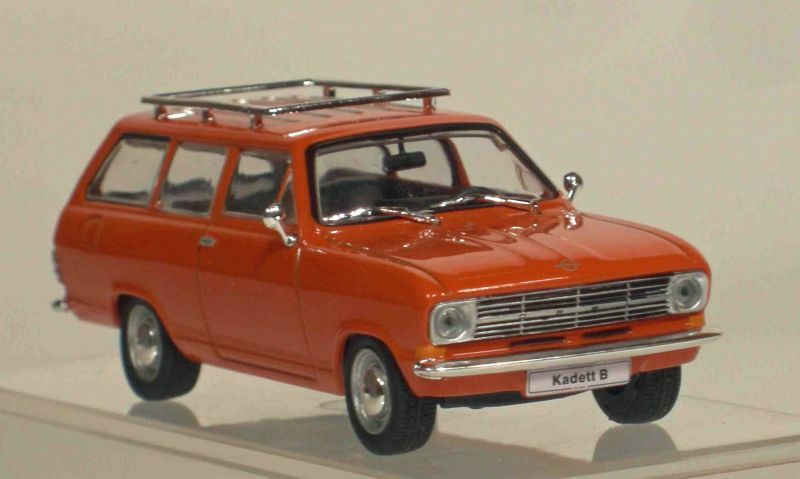 This version of the Kadett was the first with front-wheel drive. 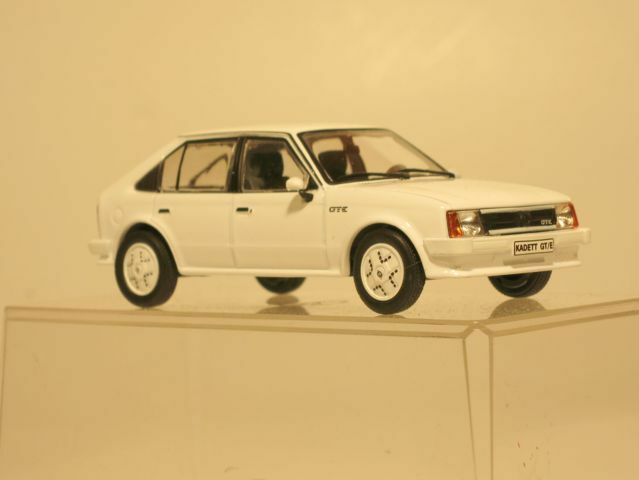 The success of the Volkswagen Golf GTI spurred Opel into launching their own hot hatch, the Kadett GTE. 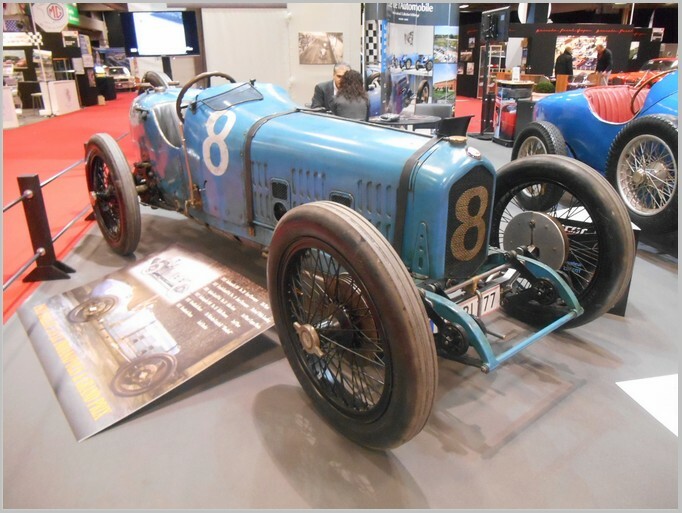 It had a 115hp 1796cc four-cylinder engine which enabled the car to accelerate from 0 to 100kph in 9.5 seconds and gave it a top speed of 187kph. 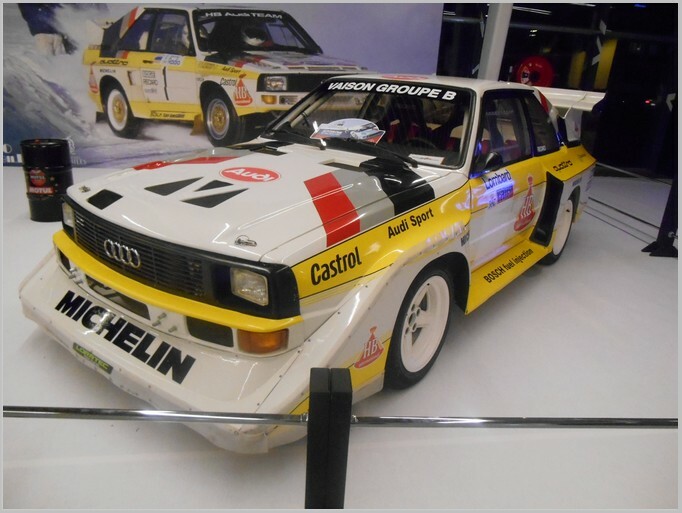 The car was available as a three-door or five-door saloon, usually in white or black with the distinctive GTE livery. This model is in the popular white finish with an accurate grey interior. Lights and other features are well-made separate components. 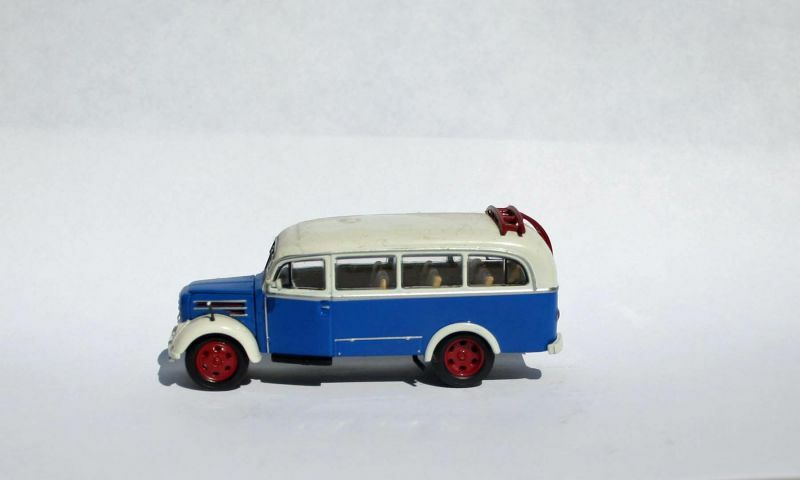 The Rekord was a spacious car for its price and consequently it was often bought by Polizei authorities. After hard use most were sold cheaply on the secondhand market, and few now survive. 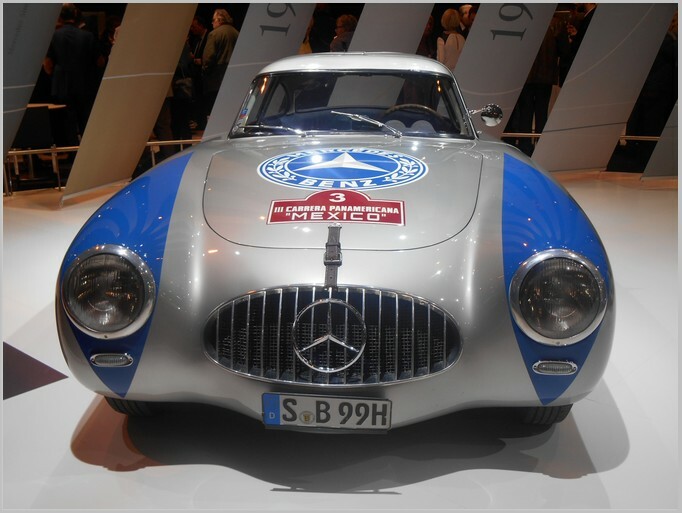 The model is said to be based on a car currently displayed at the Police Car Museum at Marburg, Germany. The model is painted in realistic fir green with a blue beacon. The bumpers and radiator grille are chrome-plated and additional mouldings are printed in silver. Lights and other separate parts are well made and neatly fitted. 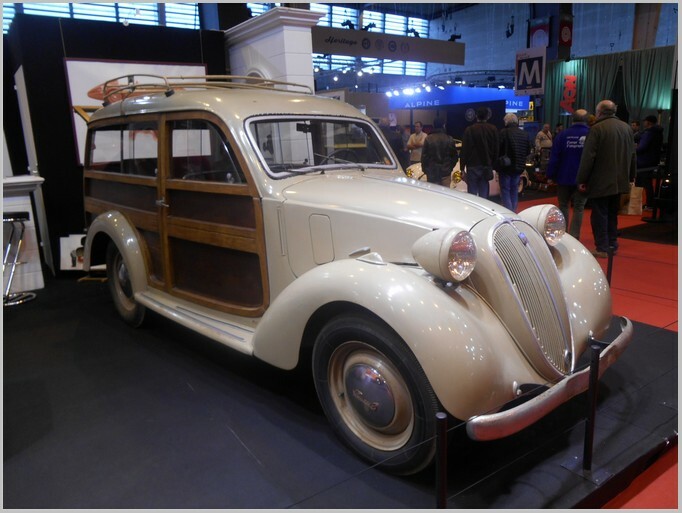 The Admiral was first revealed to the public at the Berlin Auto Show in February 1937. It was released in December 1937, and was only available for wealthy customers. 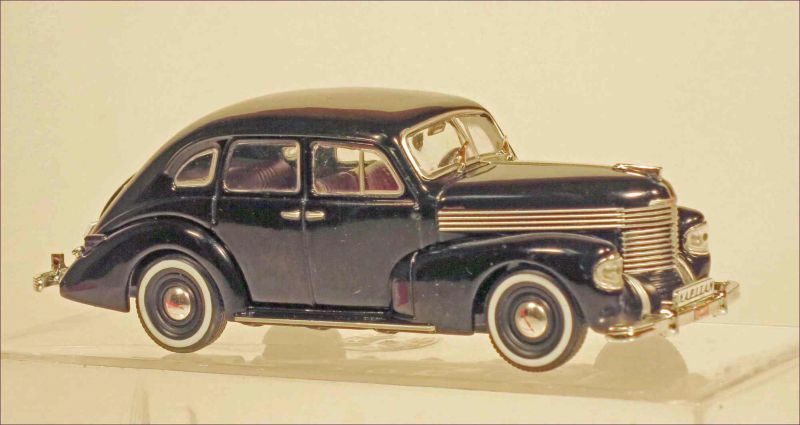 Because it was manufactured by an American company (Opel was owned by General Motors), the Admiral was not purchased for official use by the Nazi government. 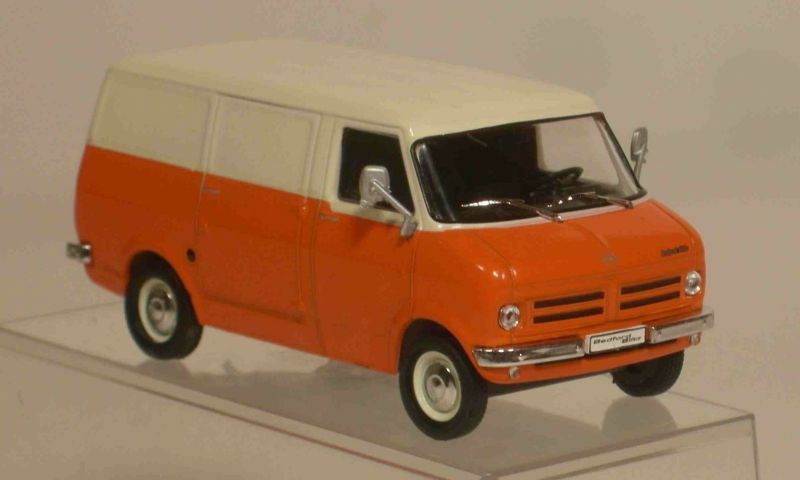 Today this first generation of the Opel Admiral is very rare, as many of them were converted to ambulances during the war, and those that survived the war were often then converted to makeshift trucks. This is the second issue in this series based on this casting. 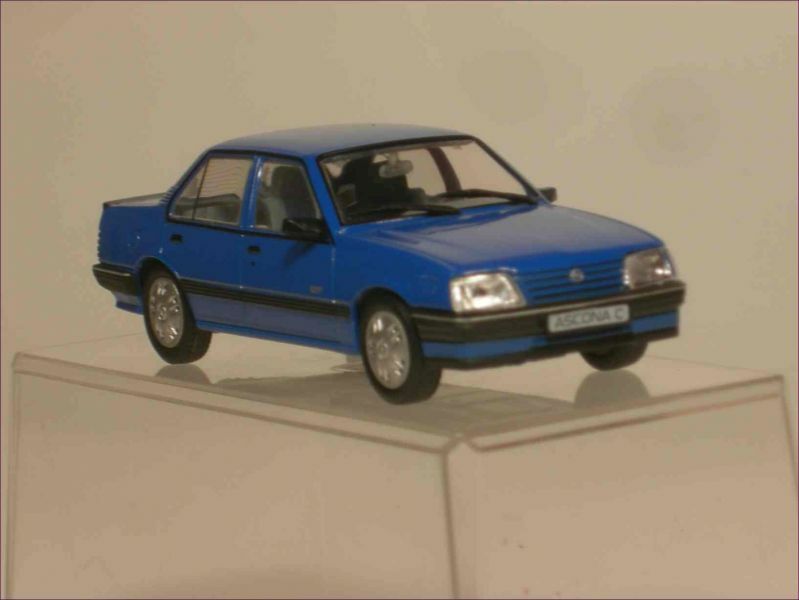 The initial release was finished in black, but this model is blue, the same colour as the car in the Opel Classic Collection. The interior is light grey, the bumpers and hub caps are chrome-plated, and the mouldings and badging are printed silver. The base is more detailed than many other models in this collection. Production of the Calibra began in June 1990, in March 1992 a version was released with a two litre turbocharged engine and four-wheel drive, and in summer 1993 there was an option of the 2.5 litre V6 engine from the Omega saloon. 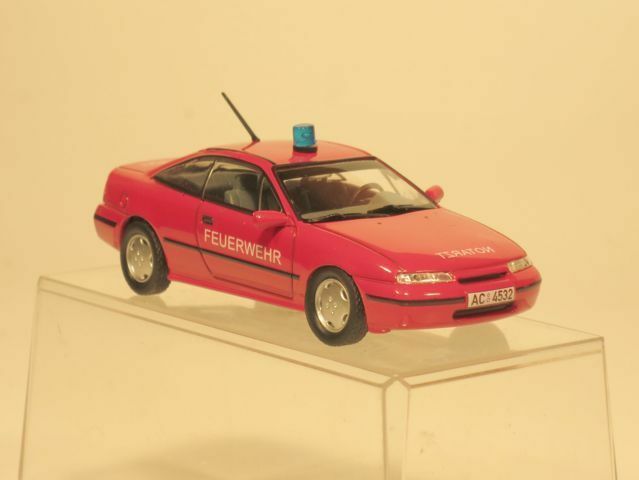 A few Calibras were used as emergency vehicles for the NEF (Notarzt-Einsatz-Fahrzeug). 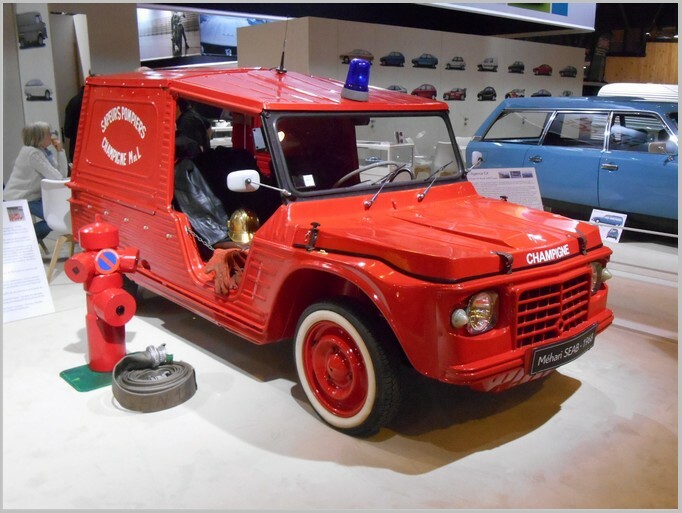 Four-wheel drive and its large tailgate were advantages for the emergency services. The model is finished in fire service red and with a blue beacon and an aerial. The interior is light grey, with separately moulded and fitted parts to the usual standard for this partwork. 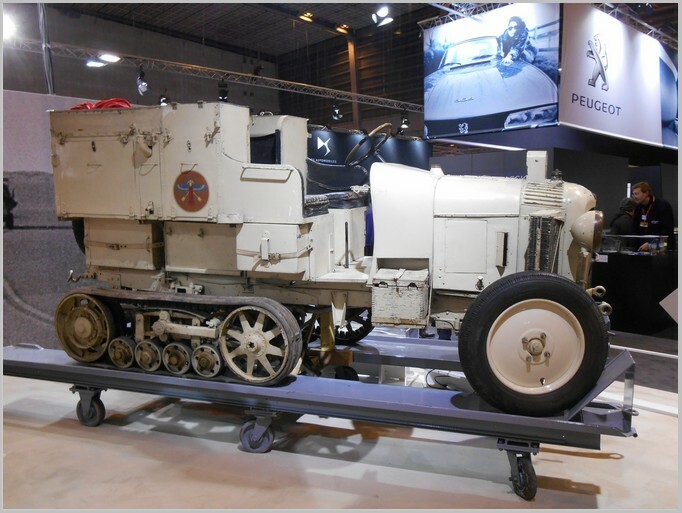 The post war Olympia was identical to the model whose production stopped in October 1940, except for the front wheel assembly. 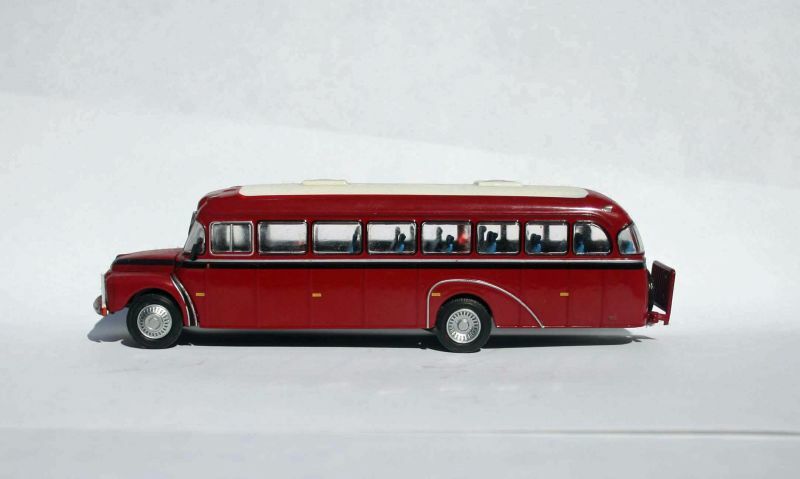 In January 1950 it was upgraded with a distinctive new body. The chromed radiator grille was modelled on the American cars of the time. It was also available as a cabriolet-saloon and as a delivery van as modelled here. This was a useful workhorse for small shopkeepers and traders. 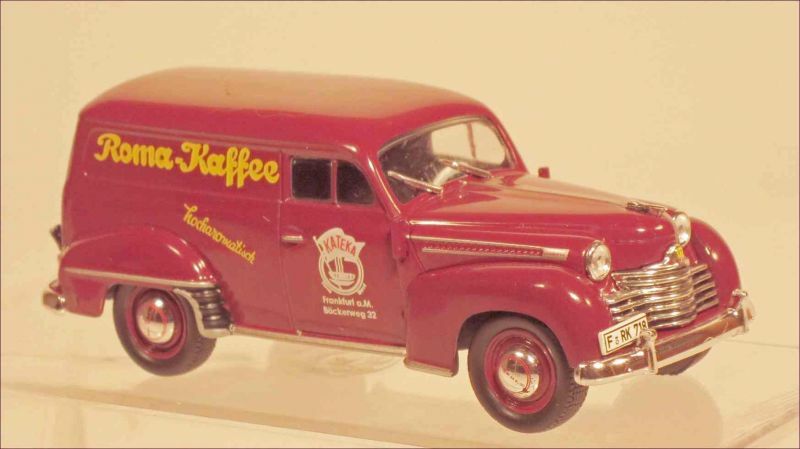 This model is based upon a delivery van used by a Frankfurt coffee roaster and dealer who used the car as an advertisement for the business. The model is fully detailed and lovingly finished. The radiator grille is “chromed” and looks very realistic. Through the windows you can see a well modelled dashboard and steering wheel. Only basic details are moulded into the base. Production of the D type Rekord started in December 1971 and ended in July 1977 after 1,128,196 cars had been manufactured. In September 1972, a 60bhp Diesel engine developed in-house by Opel was introduced which was very popular with Taxi drivers. 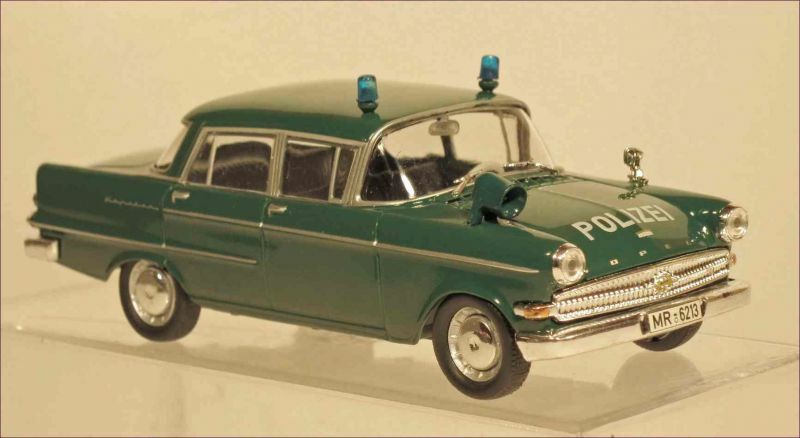 This model of the Diesel version has been issued as a German Police car in the accurate period green and white livery. It is fitted with a blue warning light and a loud speaker. 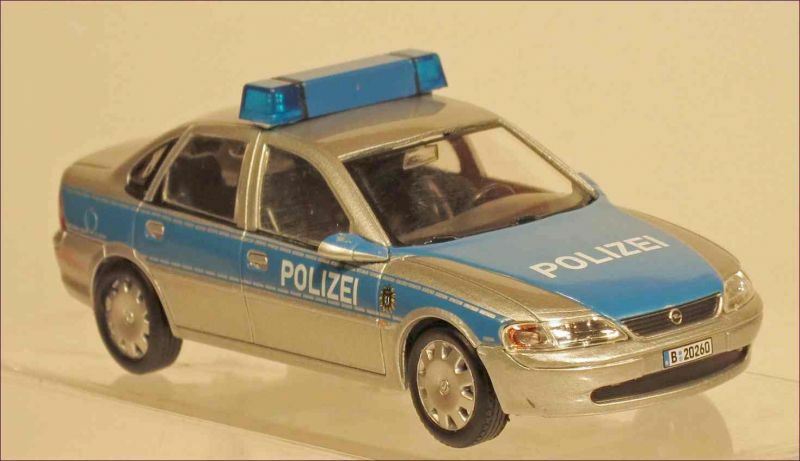 Unfortunately the model is not accurate since the German Police would not have used such a low powered vehicle as a patrol car and the registration plate with a blue EU-insert shows LUP, Ludwigslust and Parching in Mecklenburg-Vorpommern, one of the new Federal countries. At the time that the D type Rekord was in use this area was still behind the Iron Curtain. 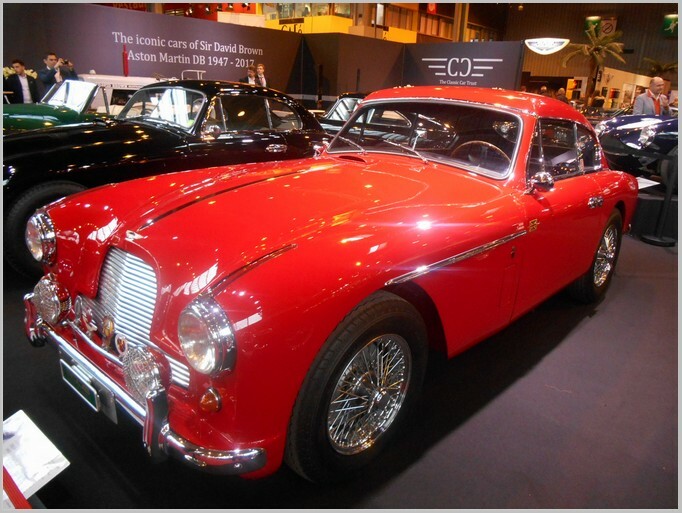 Only a few D type Rekord patrol cars survive today in collections, all equipped with petrol engines. In November 1937 Opel launched a new six-cylinder car called the Kapitan. Like the smaller Olympia it was of unitary construction. 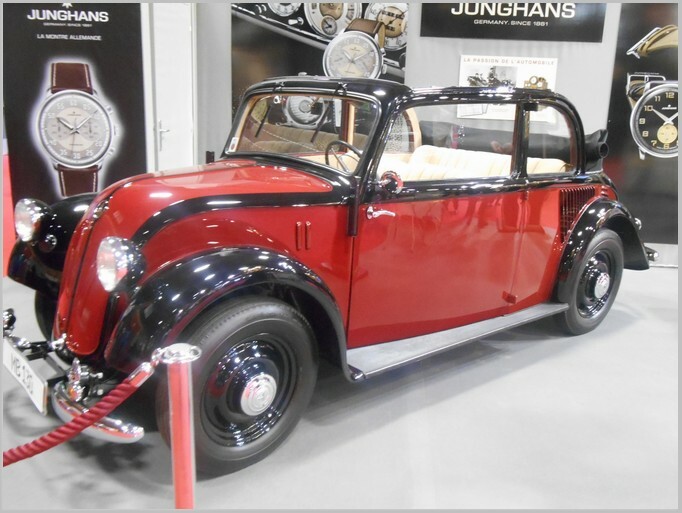 It was offered as four and two door saloon and as a cabriolet. Production ended in Autumn 1940 due to the Second World War. 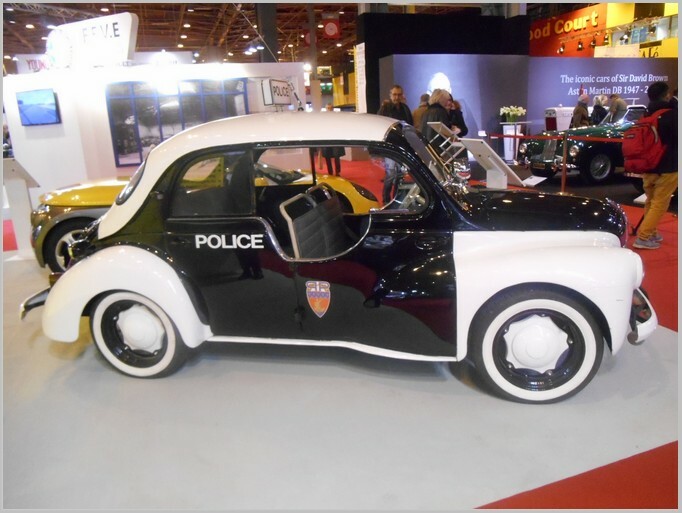 The model has been seen before and has now been re-issued with the body painted in prototypical black and is fitted with elegant white wall tyres. The headlights are still innacurate as they were in the first issue. Apart from this, body is very accurate, and well detailed and finished. A well moulded red interior is fitted. The Vectra B was first shown to the public in October 1995. The German Police departments were early purchasers and they proved to be reliable patrol cars. All were painted in white and green. It is hard to believe that any type B cars would have been still in use by around 2005 when the newer silver and blue livery was introduced. 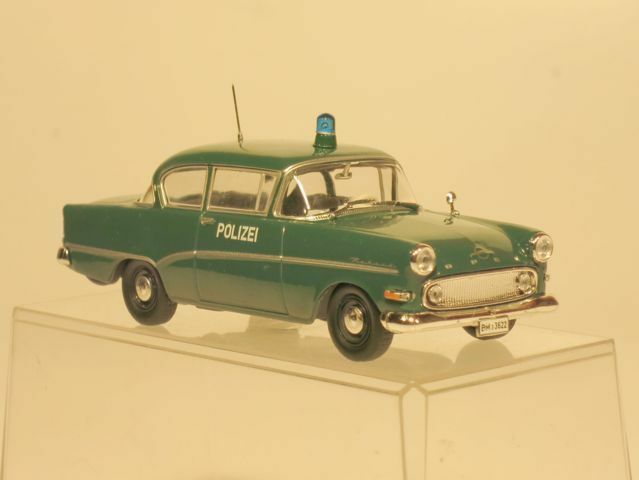 However this model appears in the newer Polizei livery and is fitted with registration plates from the German capital, Berlin. It is fitted with a blue light bar, but the police aerial is missing. 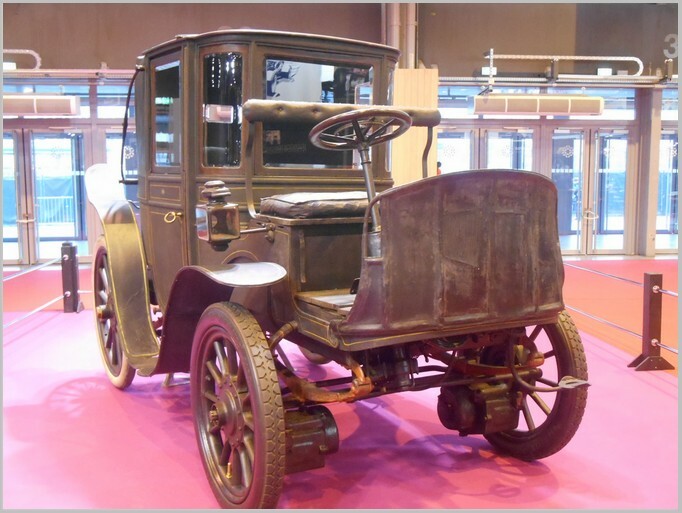 From their early years Opel’s cars were widely used as Taxis. The Rekord and Kapitan models were the models most often used in the 1960s and 1970s. 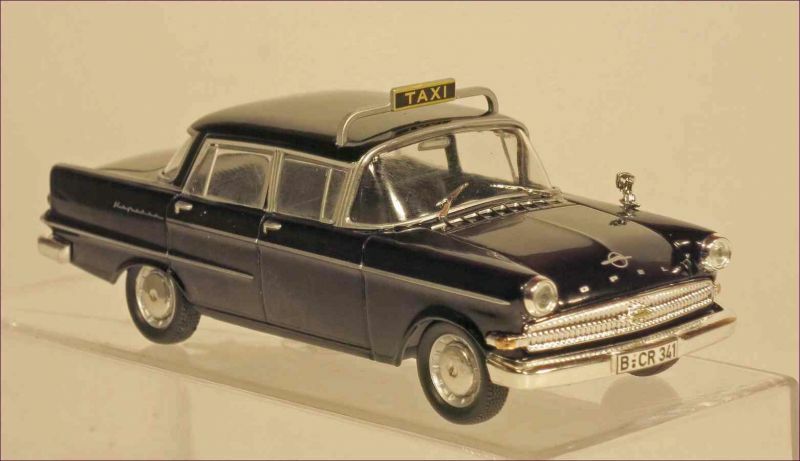 Until 1971 all West German Taxis had to be painted black, after that they had to be painted in light ivory. This model of the Kapitan PII is in black which is appropriate for its age. The body shape is well captured and there are seperate lights and small components as well as silver printing and “chrome” where appropriate. The dark grey coloured interior looks authentic, especially the steering wheel. The model is fitted with registration plates for West-Berlin, which was still under allied administration at this time. Was the product manager who suggested this model drunk? Or is it a joke made up as part of the Chinese New Year celebrations? What is certain is that the model is not based on any known prototype operated by any German Police Force. The model is a good representation of the Corsa itself and the green and white painted body is fitted with a large blue light bar and looks quite impressive, It is a pity that it is not authentic. 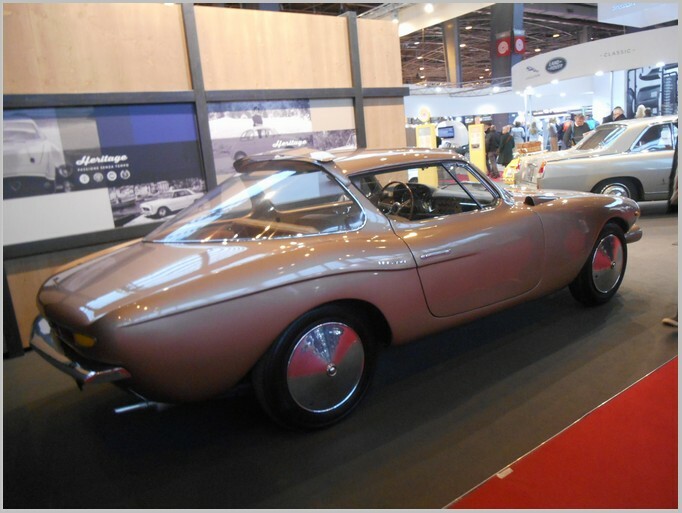 This was the most elegant version of the Rekord A and a car to be seen in during the 1960s. 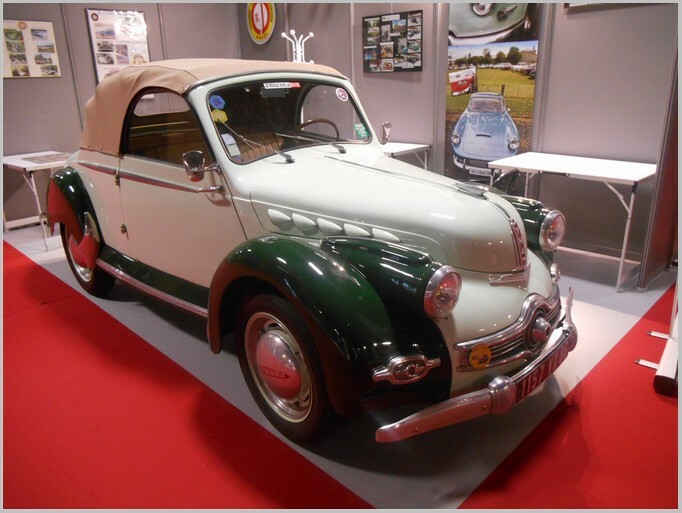 The cabriolet was converted by Deutsch of Cologne for Opel. This model has appeared before in the range but has now been released with the body painted in white and with a closed matt black soft top. 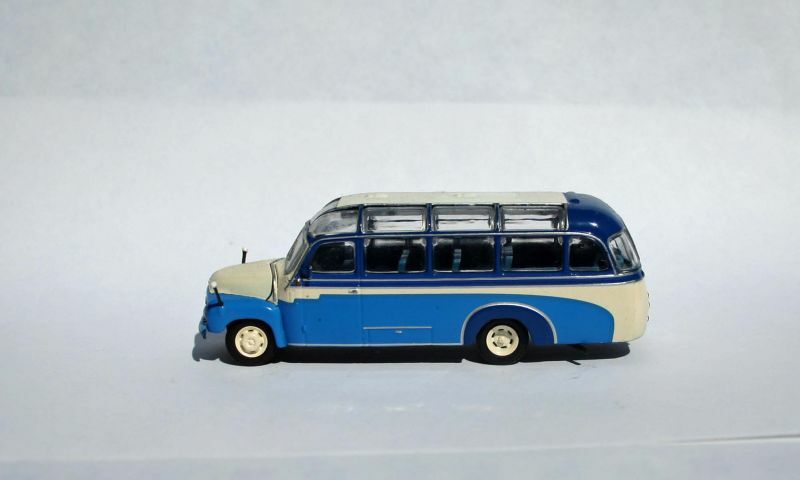 There is a good level of detail provided using small separate parts as well as silver printing and a plated radiator grille and bumpers. A nice little detail is the “D” sign beside the rear registration plate. The body shape and interior are good. Unfortunately the hood does not fit accurately to the window frame. Immediately after the Second World War Volkswagen Beetles were the main type of patrol cars used by the West-German Police. With the growth of prosperity and the associated rise in traffic on the Autobahns bigger and more powerful patrol cars were needed. 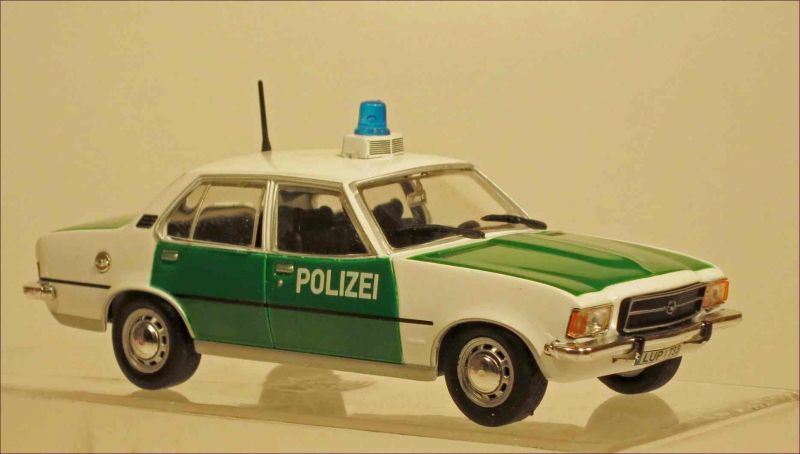 The Opel Rekord was often used as a Motorway patrol car in West Germany but they lead a tough life and few survive. 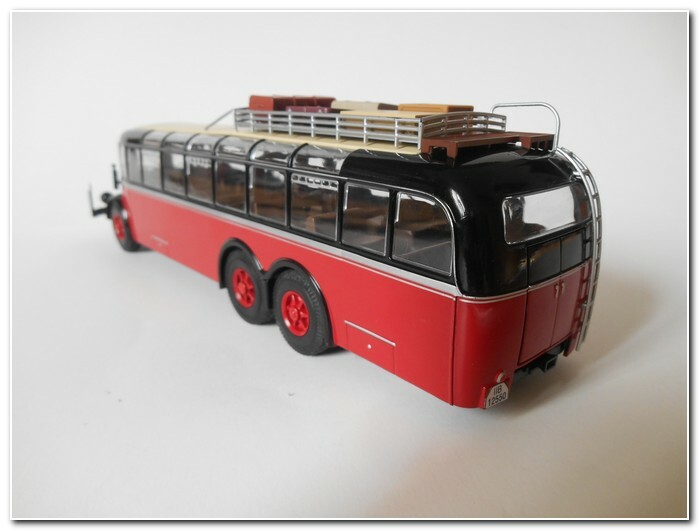 The model is based on a survivor which can be found in retirement in a museum of old Polizei vehicles in the the City of Marburg. The model is well shaped and painted in the period fir green. Detailing is up to the usual standard for this range and includes registration plates for Marburg. The Rekord P1 was first presented to the public in August 1957. 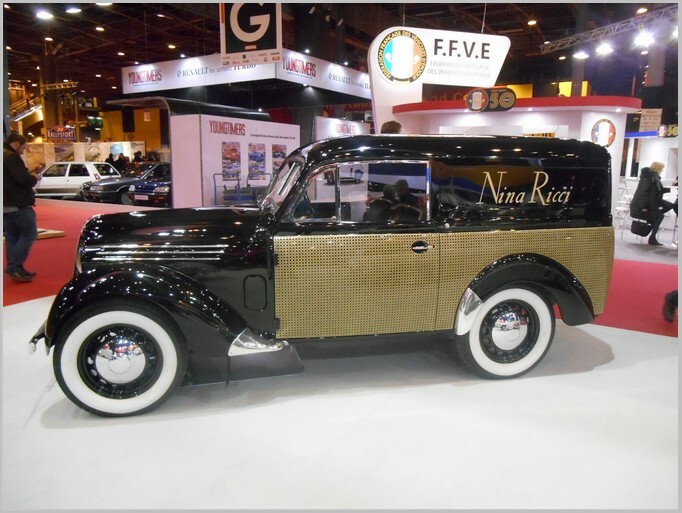 It was initially only available as a two door saloon, estate and delivery van and its’ design was influenced by contemporary American cars. The model is painted in medium blue and has seperate lights as well as having “chromed” bumpers and grilles and silver printed features. A brown interior looks authentic. The Super 6 two seater cabriolet has already been seen in this range. 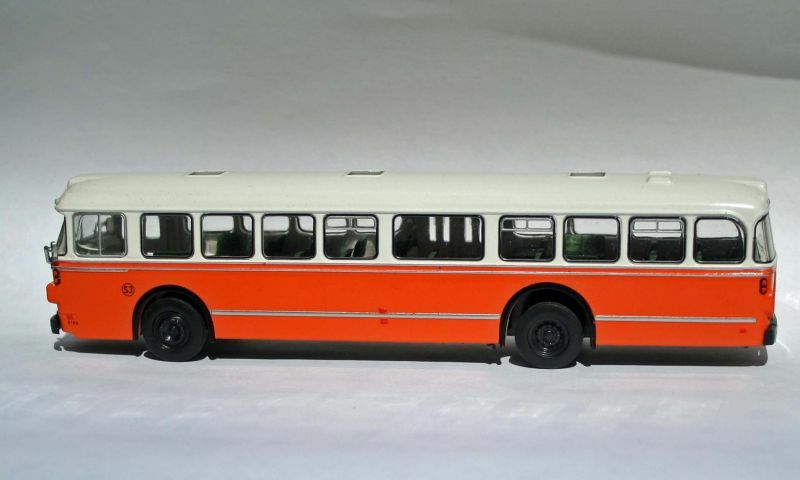 It has been re-issued in new colours: brown and light beige with a light brown interior. 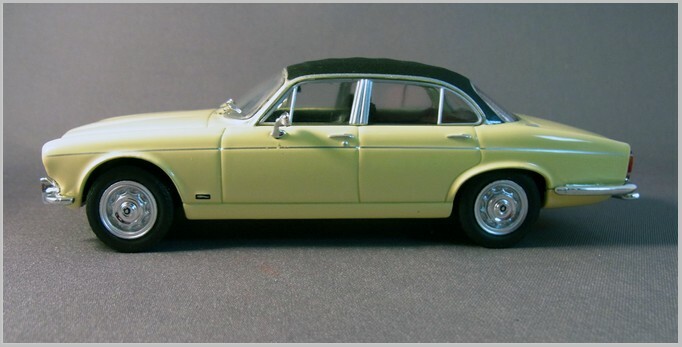 This is an attractive model set off well by the wide whitewall tyres. The model is detailed to a standard typical for this range. 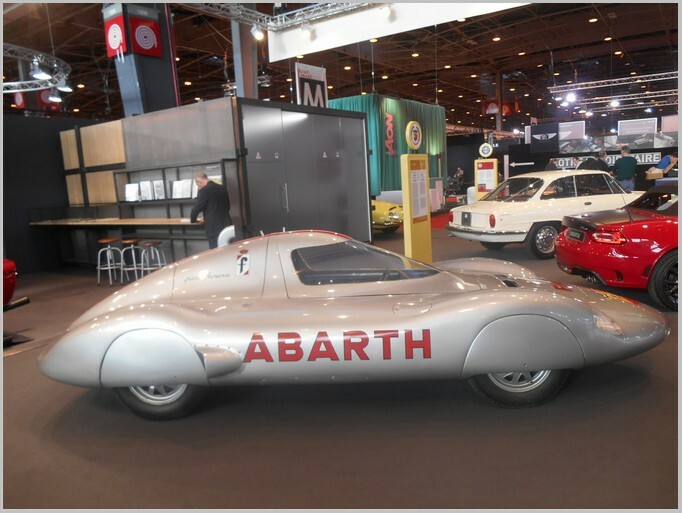 Fabrizio brings us a photo essay from Retromobile 2017. 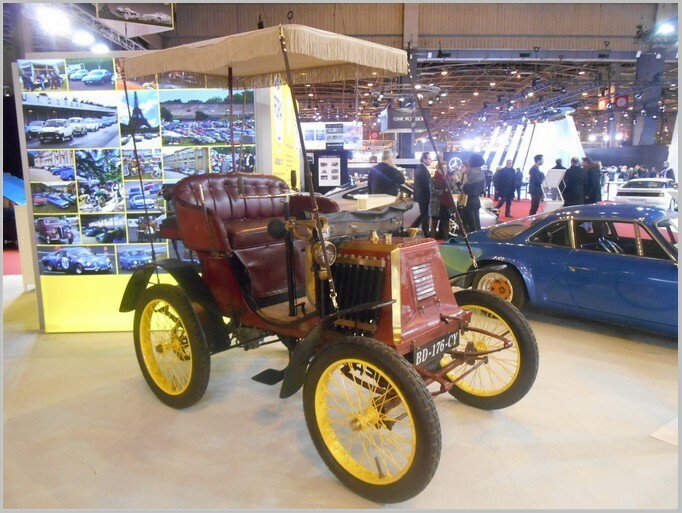 Retromobile is an annual show held at the Porte de Versailles Exhibition Centre in Paris, France. 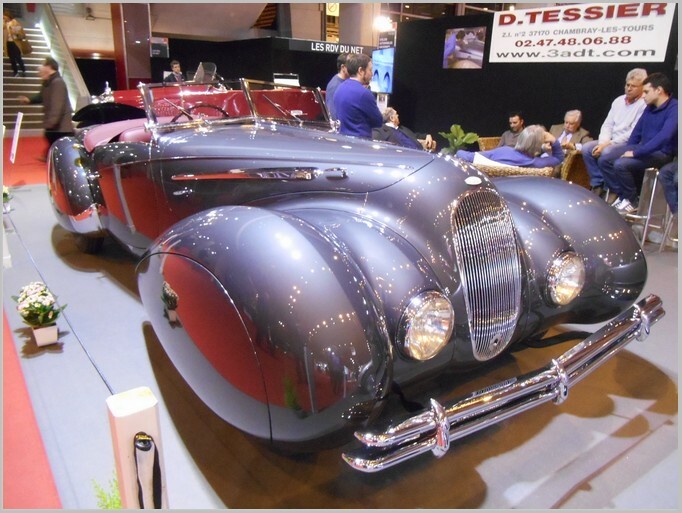 It is considered by many to be one of the finest displays of historic vehicles held each year. It is said that the show this year had 90,000 visitors and 550 stands. 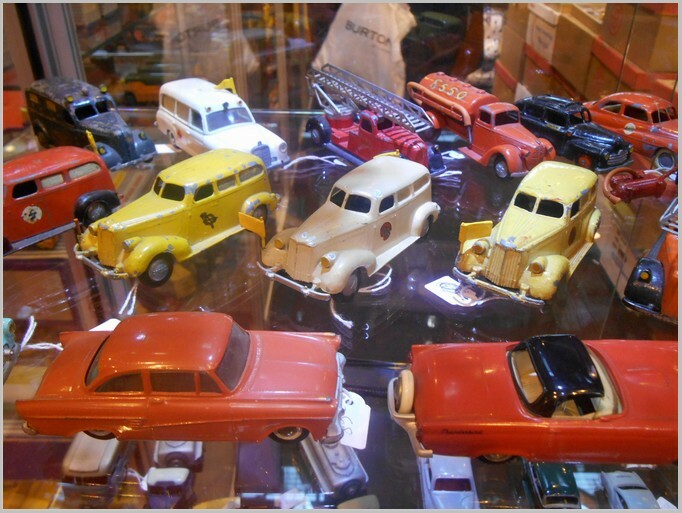 For collectors of model vehicles Retromobile is a chance to see the prototypes of models that they have in their collection. 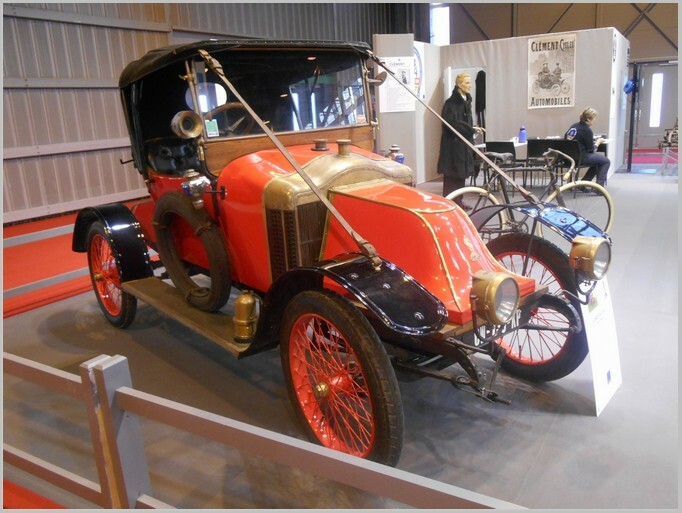 Many of the vehicles are privately owned and not on display often so it is a rare opportunity to see them. Although there are always crowd pleasers from Bugatti and Ferrari there are also a wide range of less well vehicles as well. Traders at the show sell all sorts of automobile ephemera and several model traders attend the show. Fabrizio has also captured a few of the interesting items that they had on offer. This article has been transferred from the old MAR Online area on the zeteo website in order to ensure that the most relevant content remains available to MAR Online readers. Any references to cost or availability will be out of date at this point in time. Please note that this was written sometime before the Land Rover Defender production ceased. Over the decades Land Rover has been a supplier of vehicles to the military, primarily the British Army. The original Land Rover of 1948 was in fact a UK effort to produce their version of the ubiquitous US Jeep from World War II. The subject of this article is a purpose built military Land Rover known as the 101 for its wheelbase in inches. It was a forward control vehicle using a detuned version of the aluminum 3.5 litre V8 that Rover had acquired the rights to manufacture in the mid-1960s after Buick and Oldsmobile had decided their cars had grown too large for a 3.5 litre engine. Rover developed a prototype of this forward control vehicle in 1968 but pre-production vehicles did not start to be made until 1972, a fairly long gestation period. It entered service with the British Army in 1975 and production continued until 1978 by which time 2,600 had been made. Fifty 101 vehicles were acquired by the Australian military and used to tow Rapier missile carriers. One experiment that did not prove successful was a two wheeled trailer powered by a prop shaft connected to the main vehicle’s power take off. The vehicle featured an unique centre mounted Nokken winch which could be used to pull the vehicle out of difficulty from multiple directions. 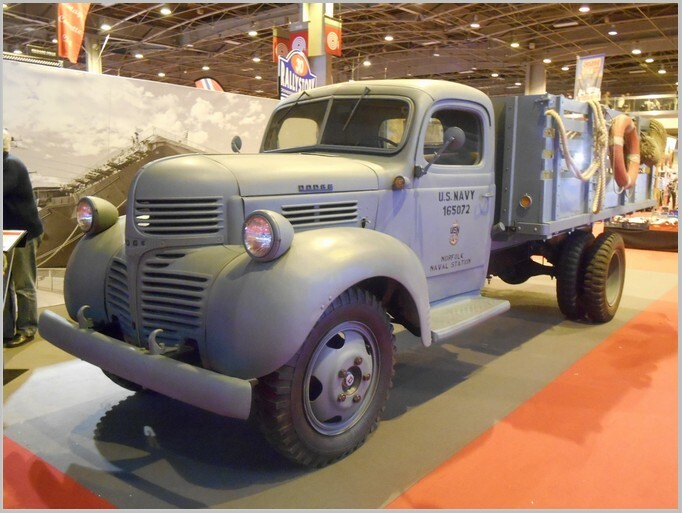 The 101 was used in many guises: general cargo carrier, ambulance, and radio carrier. There were both left and right hand drive versions all of which used a four speed manual gearbox with a two speed transfer box. It weighed 4242lbs unladen and its width was 6 foot and half an inch. It used huge 9.00 X 16 tyres. In the late 1990s the 101s were decommissioned by the British Army and many came into private hands and clubs grew for enthusiasts. As is sometimes the case some of these had very low usage with the Army. It is said that when the Ministry of Defence contract had been completed Land Rover offered to produce more but the MoD declined the offer. Later, in the 1980s when some of the initial batch needed replacement they went back to Land Rover for more but found that the tooling had been destroyed so no more were produced. 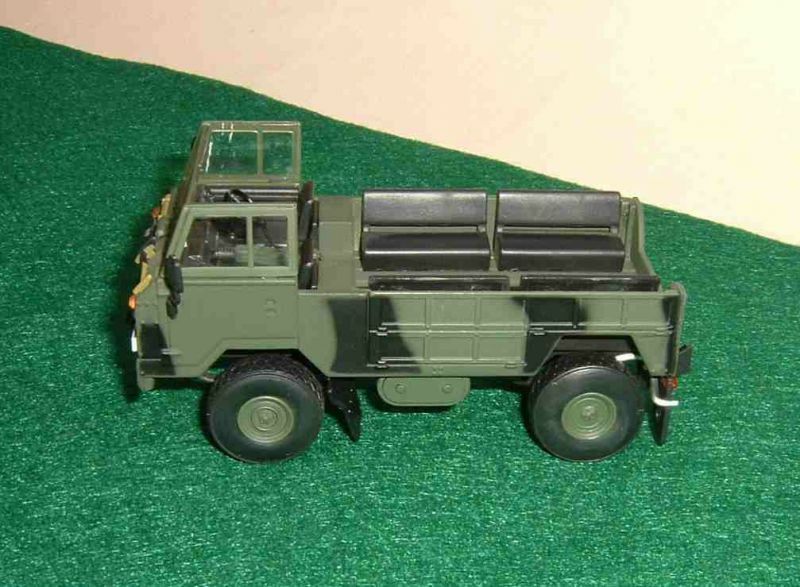 The MoD bought some Defenders and Pinzgauer vehicles instead. With the ageing of the current Defender it remains to be seen if Land Rover under Tata ownership will continue to produce a product for military use. 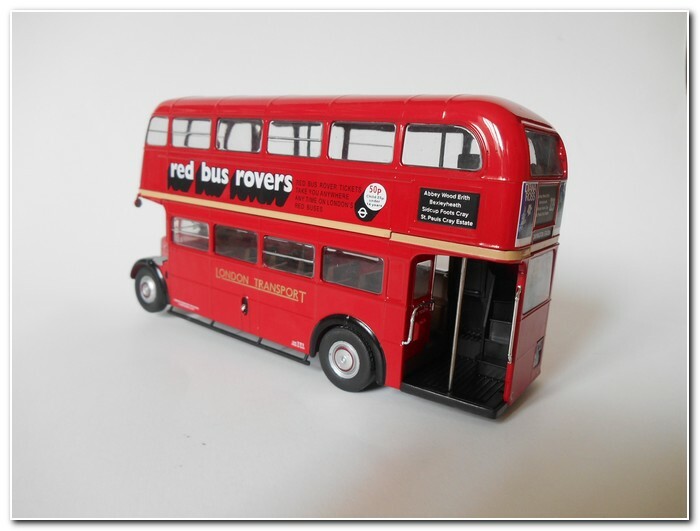 The model reviewed appears to be some sort of promotional item as there is no branding other than the Land Rover oval logo on the handsome cardboard sleeve that fits over the Perspex display box. 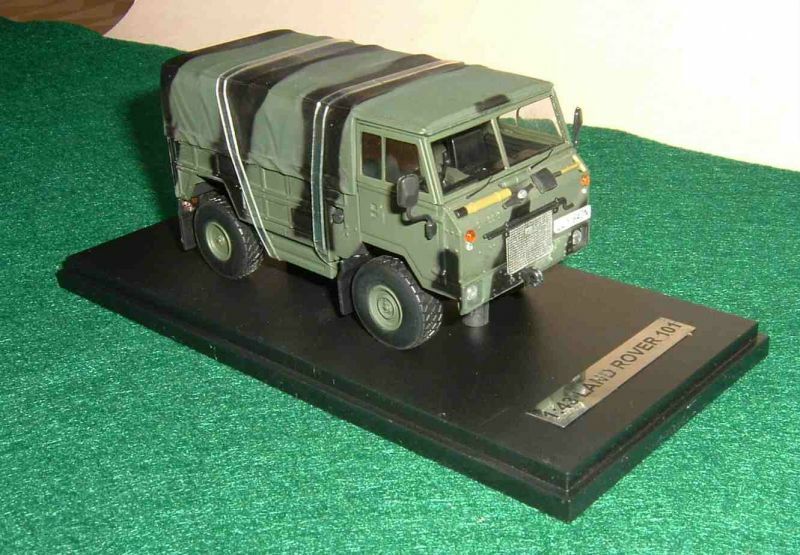 On the base of the model is only ‘Land Rover 101’, ‘made in China’ and ‘1/43’. In taking some measurements I find the 1:43 scale designation is approximate as the model is in fact slightly larger than 1:43 scale and according to my calculations comes in more like 1:41 scale. It appears quite wide, more like an American H1 Hummer. 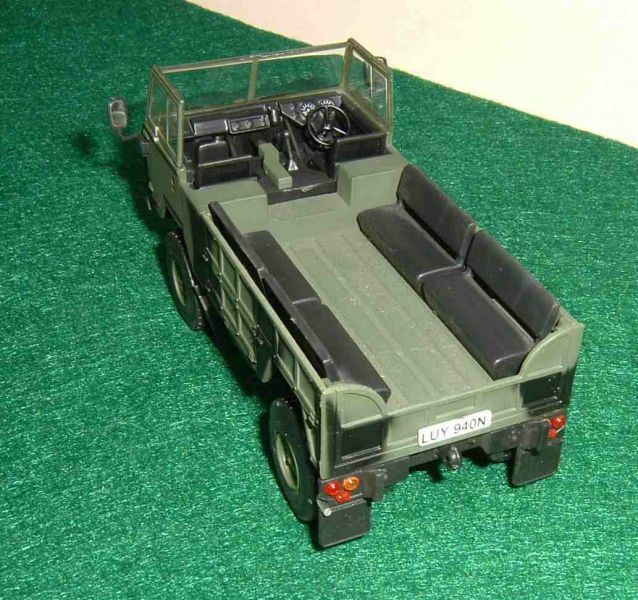 The model reviewed is the general service cargo version which has a removable canvas tilt which when removed shows facing bench seats for passengers. The cab has separate seats, one on each side of a rather high centre console that covers the engine and has a protruding gear stick. Behind the black right hand drive steering wheel is a nicely detailed pair of main instruments. The short front sloping bonnet is storage for a shovel, some other indeterminate tool and what appears to be a very, very long starting handle. Headlamps are mounted low in the body in recessed damage resistant pockets. 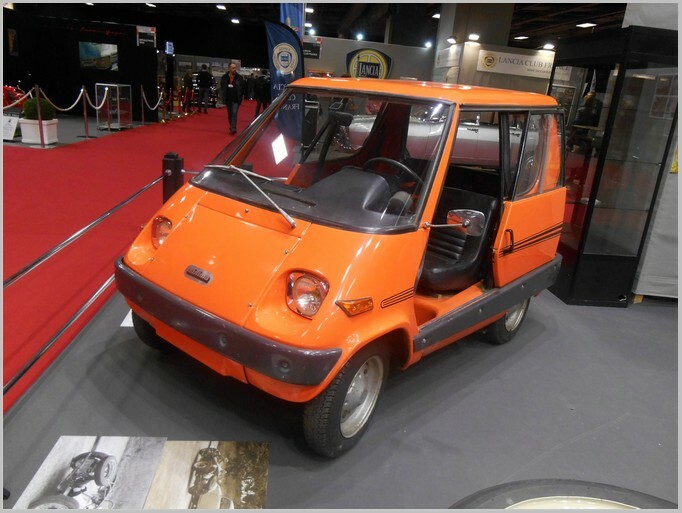 Interestingly these vehicles were available with either a 12 or 24 volt electrical system. It appears that the side boards can be folded down rendering the vehicle capable of carrying large bulky loads. The base shows the engine sump, gearbox and transfer case and the offset propshafts to the front and rear axle. An aluminium exhaust snakes its way back to a very large rear transverse silencer and then to a tail pipe exiting around the left hand rear wing flap. Towing points are provided front and rear. 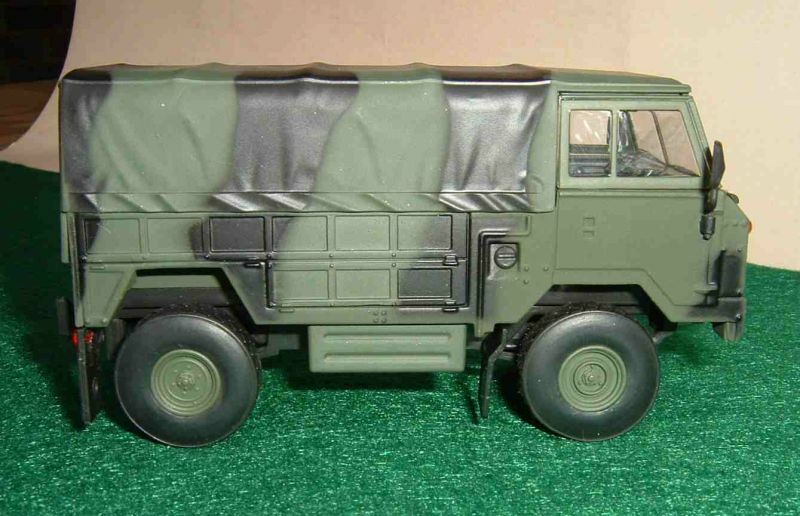 Although only the cargo version in a camouflage color scheme is shown other versions have been seen in pure olive drab and desert sand. There are also versions of the radio car and ambulance that have non fabric bodies which were created by the Army after purchase from Land Rover. These have been seen in many colours. 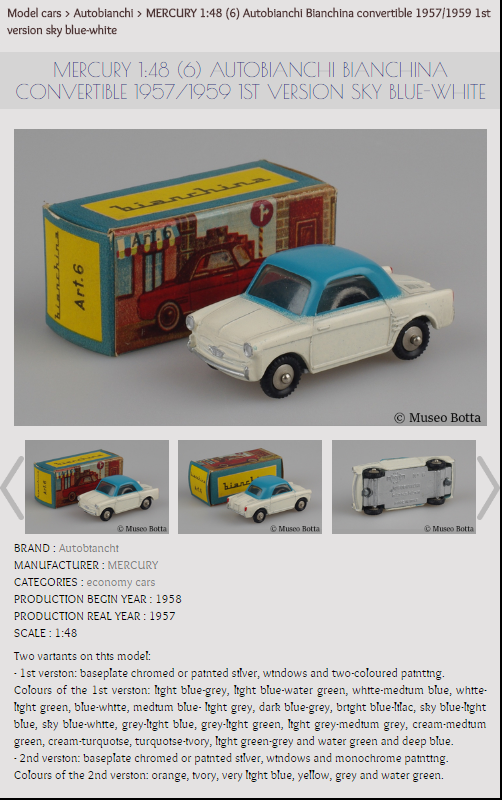 All are nicely detailed models but the stickler for exact 1:43 scale might be disappointed. This article was originally hosted on the first MAR Online website. As access to that site is no longer available from zeteo.com we have copied over a number of articles to ensure that they are saved for the future. This article has been adapted from its original form to appear in this blog. NB the product cost and sales site details are now out of date. 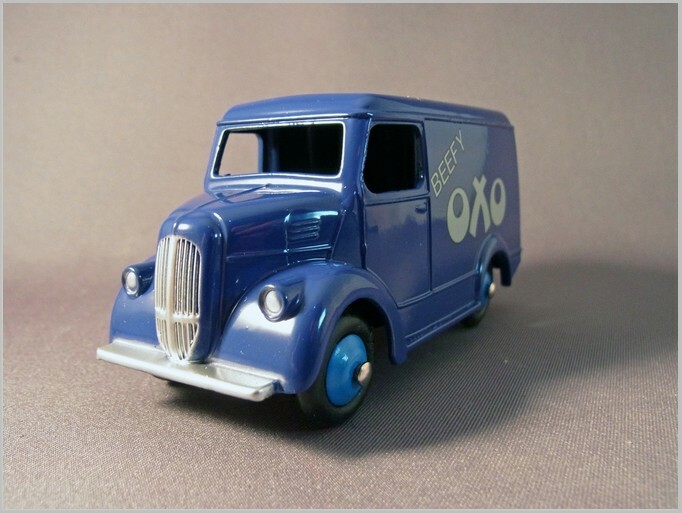 There’s no doubt that Brits have a curious affinity for Steam Traction Engines, especially Showman’s Engines, to whit, models by Matchbox, a complete range by Corgi and now Oxford Diecast getting into the fray. Doubtless, the same type of vehicle was employed here in North America as industrialization took hold and perhaps some even saw use as Showman’s Engines. 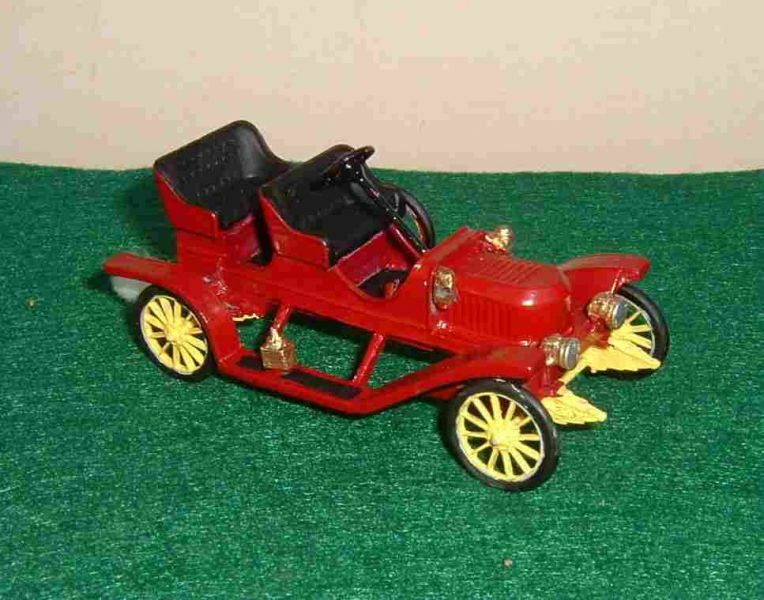 But one doesn’t see the same level of interest in miniature diecast, even though die casting toy vehicles was essentially an American invention, pioneered by the Dowst Manufacturing Company, Tootsietoys, during the time when steam engines would still have been in use. To be honest, I find that most of the Showman’s models basically look alike, and I’m sure the same casting is used with different liveries on occasion. From my perspective, it seems North American interest in steam driven vehicles, excluding trains, extends more to the construction industry, with many toy ranges featuring period steam shovels, excavators, and steam rollers. It’s not my intention to review steam shovels or rollers as a complete subject, more to focus on a single magnificent steam driven vehicle that was produced by TWH Collectibles a few years back as a special for the US magazine Toy Trucker and Contractor. 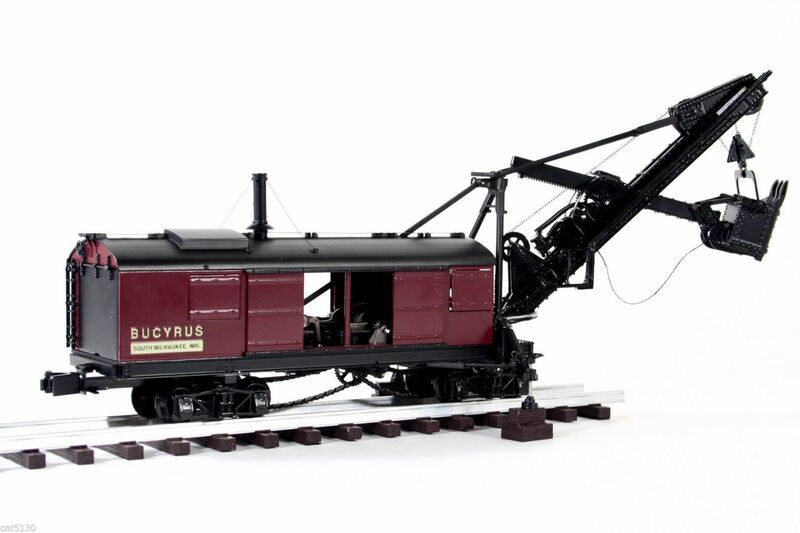 I’m talking about the 1:48 scale TWH021-08001 Bucyrus Steam Shovel, the 95 ton rail-mounted steam shovel famous for its use in the construction of the Panama Canal. 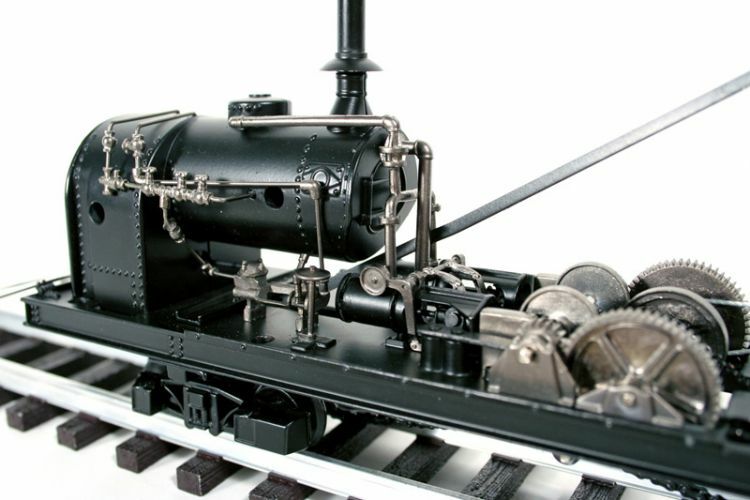 This astonishing all-metal model could have appeal to steam, construction (cable excavators), and O gauge rail enthusiasts alike. 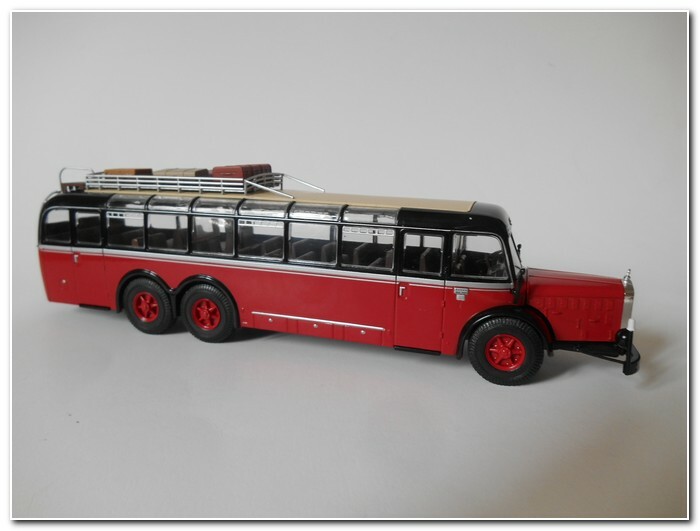 The model is still available at it’s original price of 300 US Dollars from the magazine website at http://www.toytrucker.com/construction-models.html You only need to examine the photos to realize that ‘it’s a steal’ at that price. It can also be found on eBay, but at a premium. 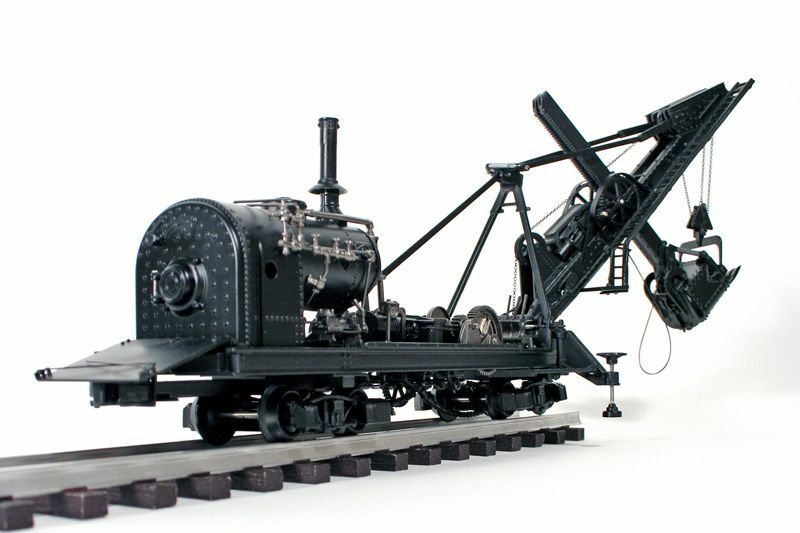 A leaflet that comes with the model describes the actual vehicle history best: ‘The 95 ton steam shovel was the largest of 12 steam shovels that Bucyrus offered between 1895 and 1901 and was marketed as the the most powerful shovel ever built. Bucyrus steam shovels comprised 77 of the fleet of 102 steam shovels used to dig the Panama Canal, one of the largest excavation projects of the early 20th century’. This machine was rail car mounted and self-powered via a chain drive. Workers would build the rail bed forward as the machine advanced against the rock face. A second rail line with open box cars parallelled the excavator line to enable removal of the rock. 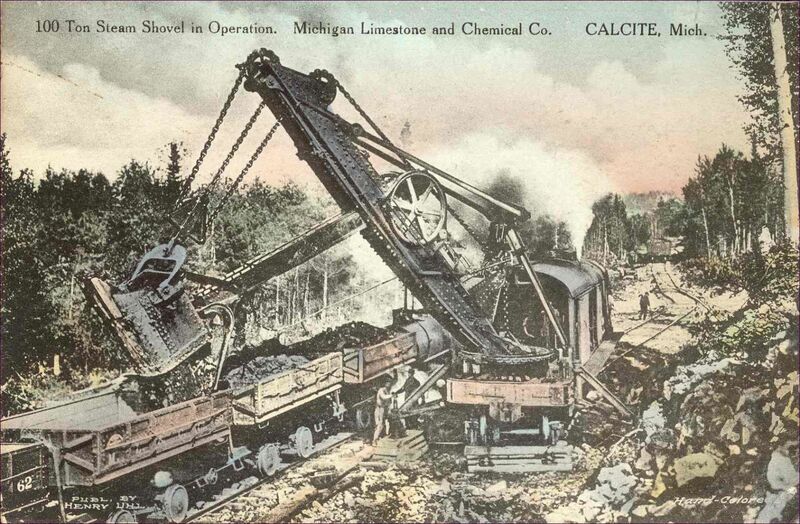 ‘The major functions of the Steam Shovel, including the raising and lowering of the dipper, boom swing, and chain drive locomotion are key-operated using fully functional winches of chain and ropes. Other functioning components include the dipper door trip rope, pivoting operator handles, and hinged adjustable outriggers. 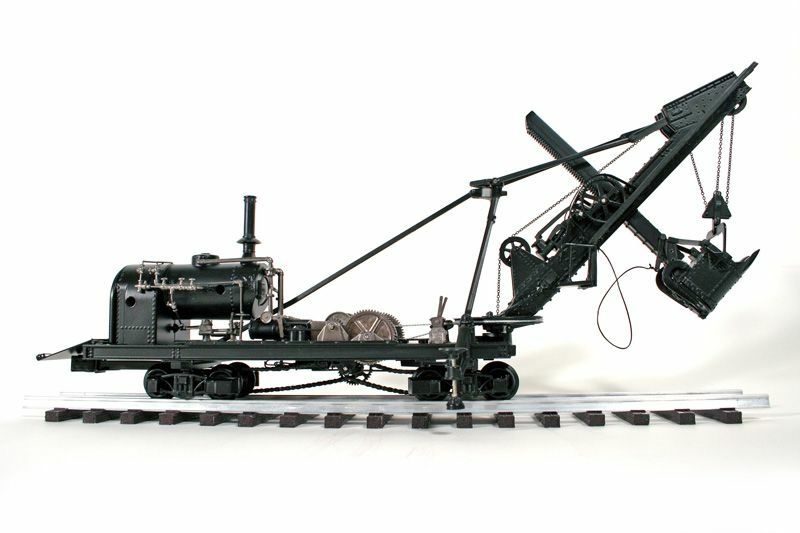 The undercarriage of the Steam Shovel features functional trucks, removable rear hitch, individually-linked drive chain, and a brake. The removable house is complete with sliding doors and hinged windows with prop rods. The interior of the house reveals the most impressive workings of the model. Reciprocating pistons and operational gears lead rearward to the nickel-plated boiler piping. The boiler is detailed down to the rivets with a functional coal door inside the hinged coal platform. Prop rods support the hinged back door’. Few companies can or do build to the standards exhibited by TWH who are regrettably now out of business. There are two UK based websites that provide independent reviews of plant and construction models and both rave about this particular item. One is Miniature Construction World edited by Steven Downes http://www.twh-reviews.co.uk/index.php?menuID=bucyrus&contentID=bucyrus-steam and the other is Cranes Etc edited by Ian Webb http://www.cranesetc.co.uk/library/twhreviews/021/021review.htm. As Ian says ‘This is one of those few models that is such a quality item that almost anyone would be happy to have it on a mantelpiece, even if they have no interest in collecting models, or the machine itself. The detail and features are excellent, and the quality is first class. Hopefully some day all quality models will be made this way’. Truly a unique and extreme steam machine. All the images used in this article have been provided by the Museum and their copyright applies to all the items shown. A new venture has been launched on the web based upon the collection of its founder Giovanni Botta. 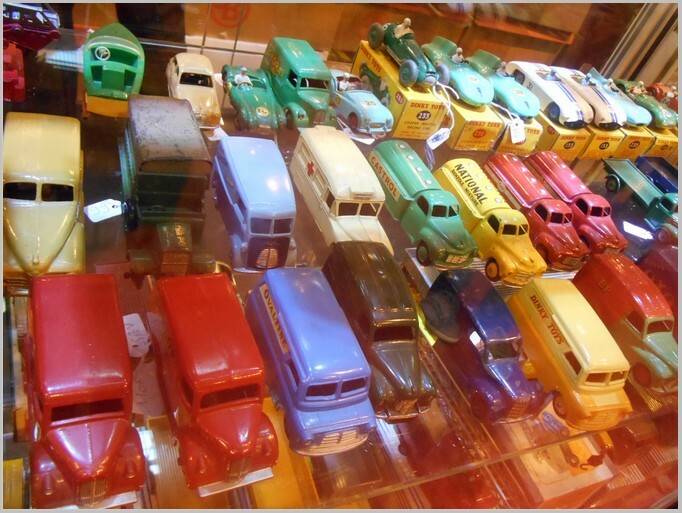 Giovanni has been collecting model cars and advertising materials since 1972. Now he shares his collection with others with similar interests. With a web site he can make it available to the world in the way a physical museum with glass cases could not. 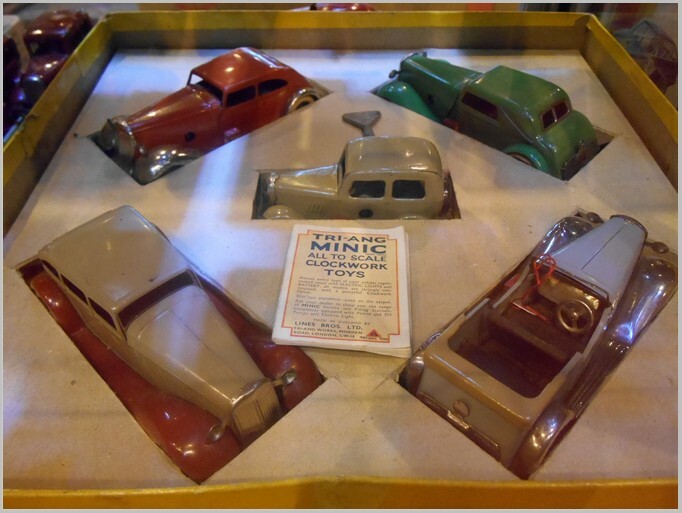 The museum consists of thousands of cards with pictures and detailed descriptions for each model car and advertising items. In order to fund the website, and to avoid the need to continually bombard users with advertising, Giovanni has to levy a small charge for entering the museum, at the time of writing this is 3 Euros for 3 hours visiting time. If you logout correctly you can return to use up any unused time left later. This is an interesting innovation and it will be interesting to see if it is a success as if it is we may see other collections tread a similar path. 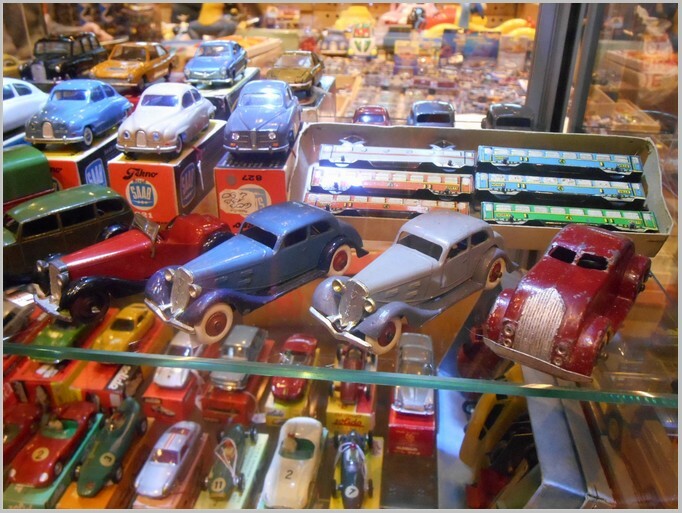 On entering the museum you may choose between model cars or advertising objects and can view the collections by various themes or search them as you wish. 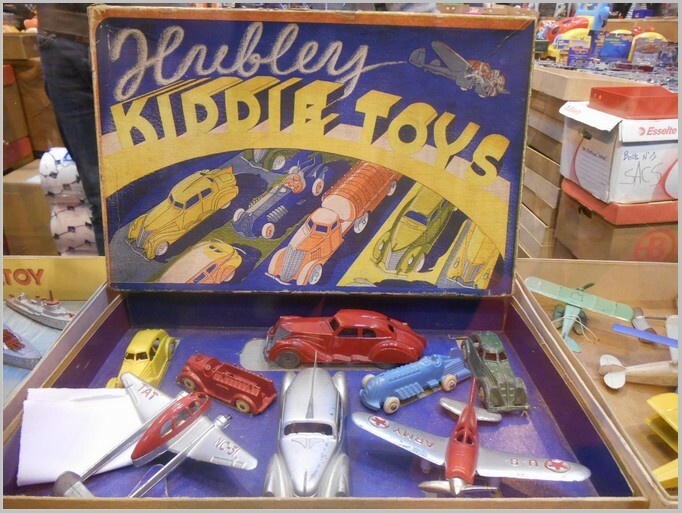 The collections are quite clearly personal and rather than focus on collecting everything of a particular kind there are a few items across lots of different categories. As far as the cars are concerned the collection has many interesting items and often these are shown photographed from a number of angles. 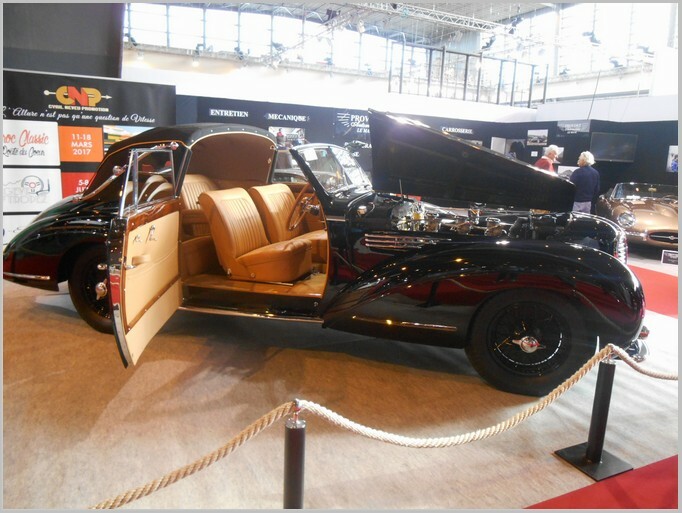 Although the collection is divided into many categories it should be noted that some like presidential and royal cars have just one item in them. The collection includes model makers like ERIA that I had never seen before. 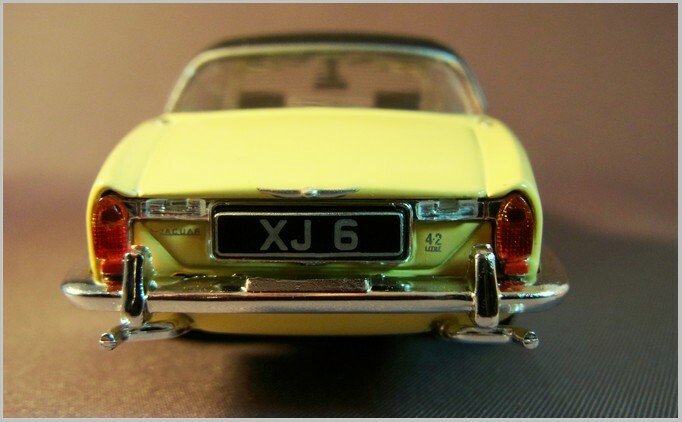 The screen shot below shows a typical card for model cars. The photography is of high quality and a variety of shots and variation details is often included which is more instructive than viewing a model in a display case would be. One instinctively tries to double click on the larger image shown on the card to get a full screen image and examine the model more closely but unfortunately you are not allowed to do this which those looking to examine detail may find frustrating. This is made worse by the fact that the card is shown in a band in the middle of the screen on wide screens and does not make full use of the screen width. That said the image quality and presentation does give a good view and one can always use one’s browser zoom to enlarge the view. The advertising section is arranged in a similar way and contains lots of period items showing the various styles of design. Particularly interesting are the counter displays for a wide variety of products showing what advertisers thought would catch the eye in different decades. I enjoyed my visit and found much to interest me there. 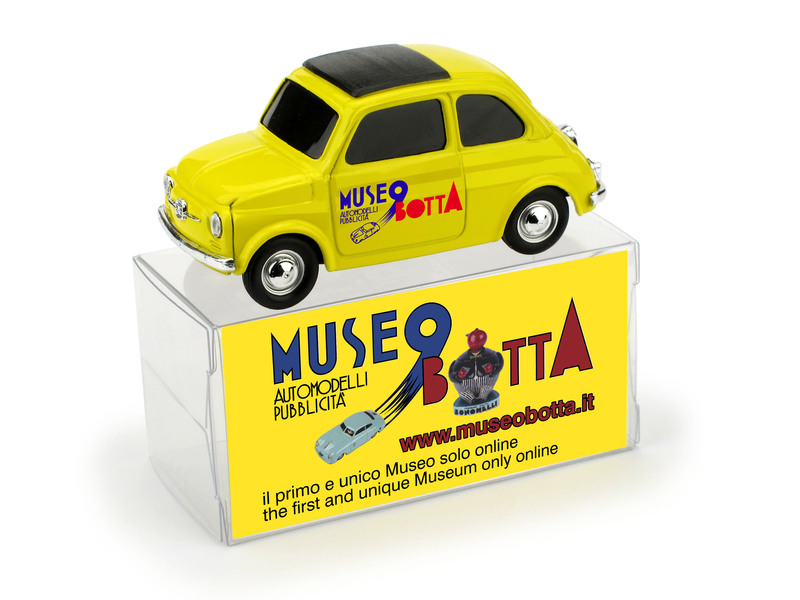 MUSEO BOTTA (Mu.Bo. 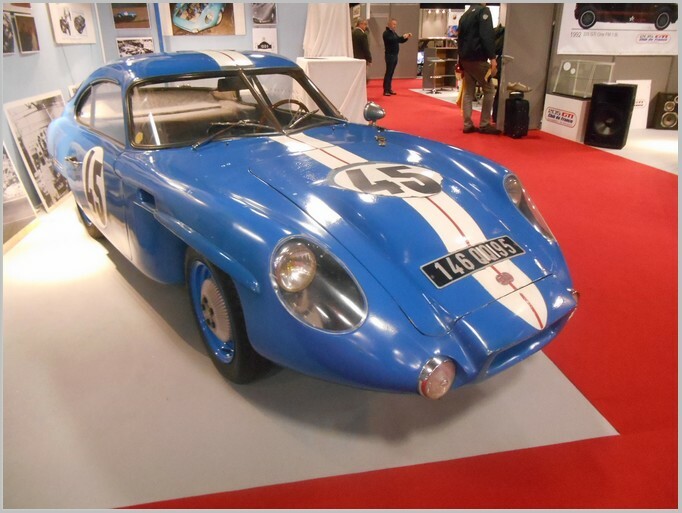 003) Porsche 356 1300 # 285 F. Van de Kaart – J. Swaters Rally Montecarlo 1952. 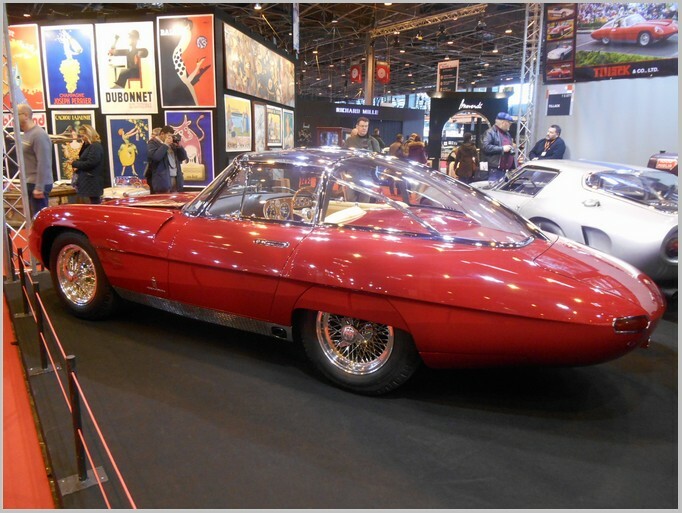 This car was characterized by “periscope” headlights and was produced in a very few pieces (for now only 6) with the collaboration of IV MODEL (Ilario Vecchiato). The old MAR Online pages at zeteo.com will not be accessible for much longer so we have decided to transfer more articles from key contributors. This posting is by John Quilter and was originally presented under the Reader’s Chops heading in 2015. 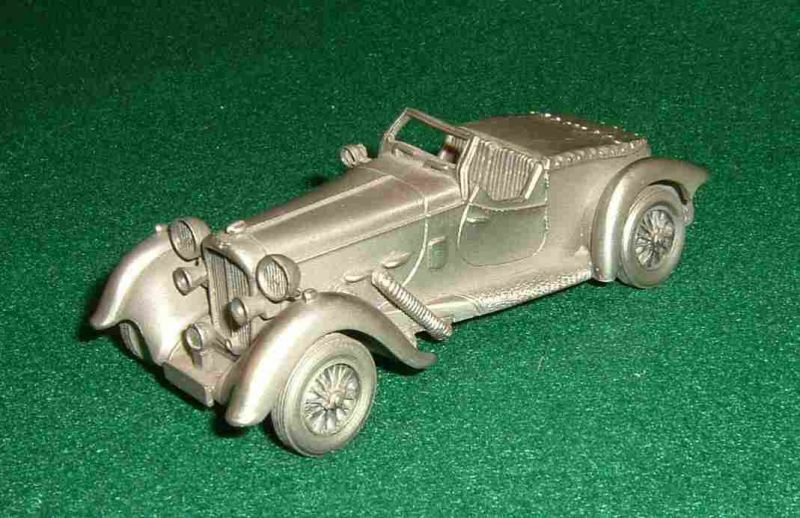 A while back Danbury Mint produced a series of pewter models that I believe were “crafted” in England. 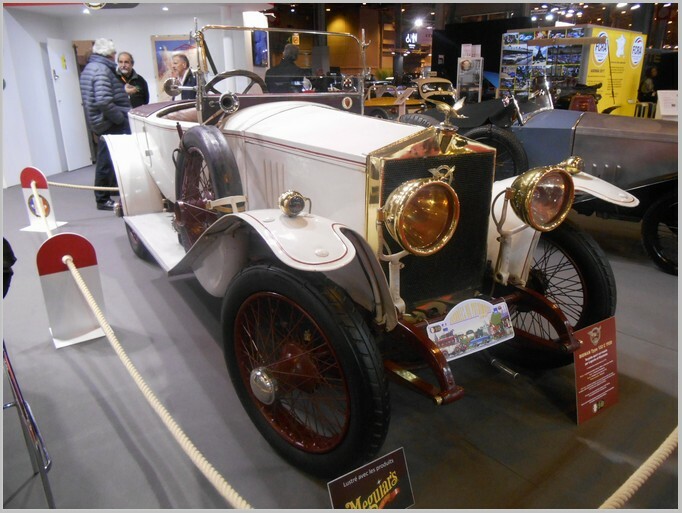 There was a wide variety of international cars dating from the early 1910s to the late 1930s. They have now reached the secondary market and can be purchased quite reasonably from such venues as eBay. 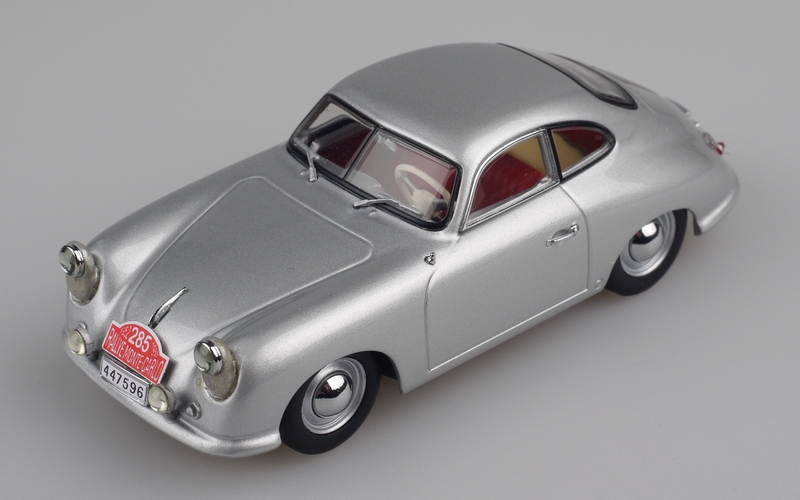 Since many represent cars not seen to 1:43rd scale before, they can make interesting additions to one’s collection. 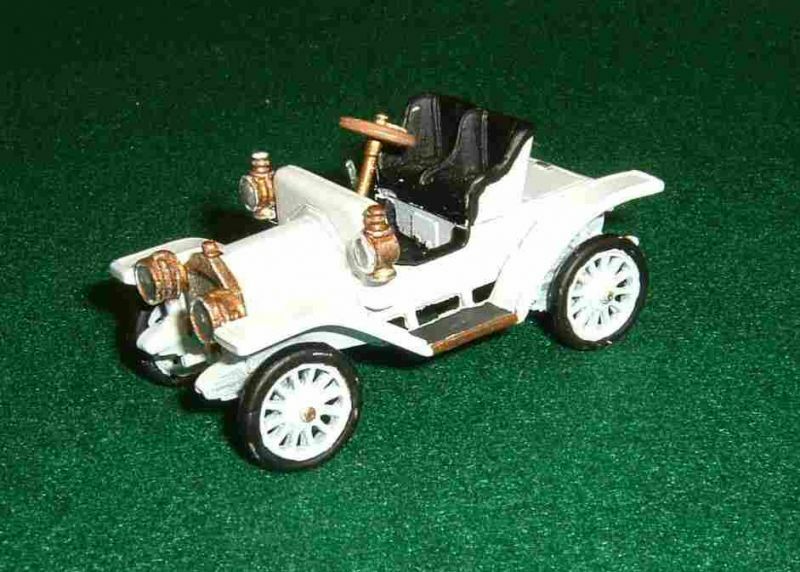 I was light on “brass era” cars in my model museum so some of the Danbury items fit in nicely. However, to add more realism and to make them blend with the typical collector scale model it was necessary to paint them in appropriate colors. 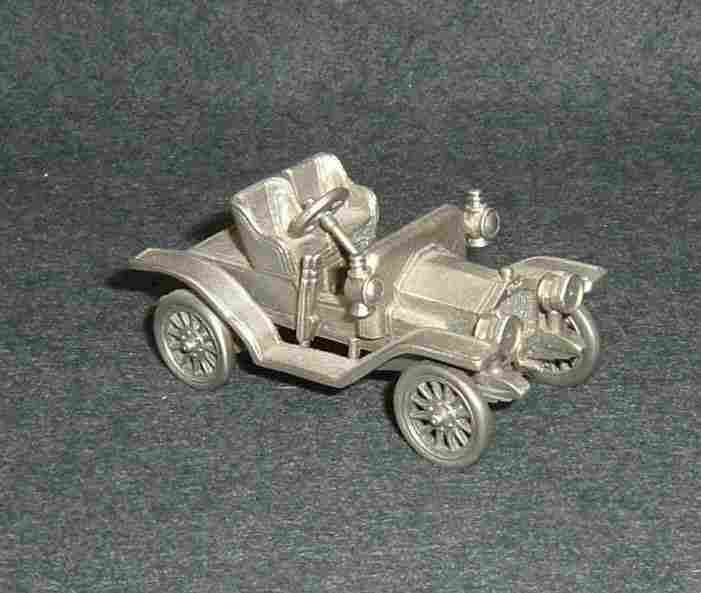 They do not have rubber tires, the entire item being cast in pewter and there does not appear to be any way to disassemble them for ease of painting. My method was to wash them down with detergent, prime them with an aerosol paint and spray a final colour coat. 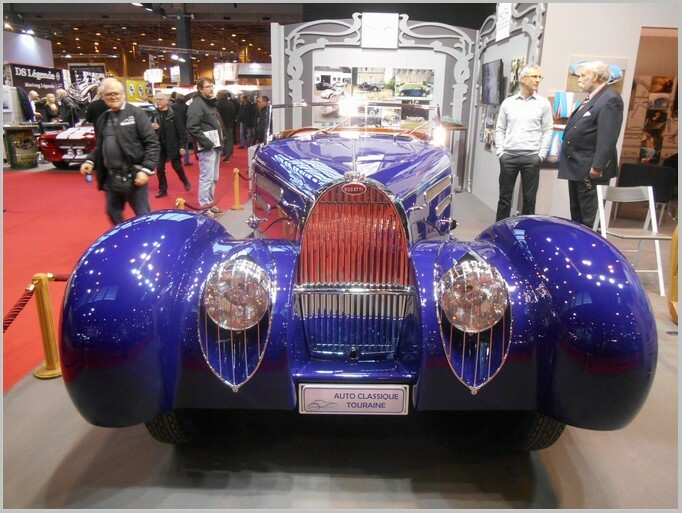 The colour choices can be picked by taking a look at Google images of the subject real car. There will be many to view and choose from. The tires are metal and will have to be carefully hand painted in flat black or in some cases white as were very early rubber tires. The seats are easy to do on open cars but present a bit of challenge in closed cars necessitating poking through the windows with a brush and dabbing on paint on the seats, door cards and steering wheel. This does not have to be done to perfection as the interiors are not easily visible. 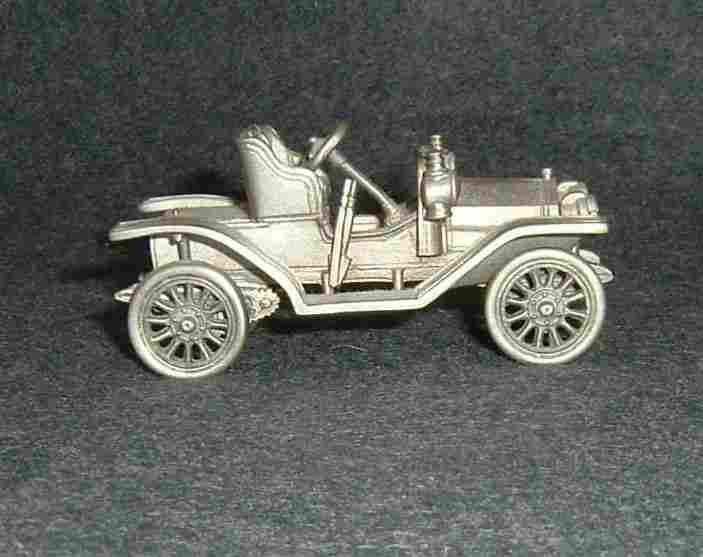 Bare metal foil can be added for chrome items or brass items on the very early brass era cars. In some cases the “scratch off” method of bringing out the stainless or chrome items such as side moldings can be used. Carefully with an razor knife scratch off the color coat and polish slightly with jeweller’s rouge and you will get a nice effect. On some items I added extra detail such as the circular windscreen on the Stutz Bearcat. I added a cotton Q Tip for a simulated steam exhaust on the Stanley Steamer. Details such as these can be researched using images on the internet. Windows can be made from sheet plastic (some common clamshell food containers are made of this material) and glued into place. Final work can be to polish the paint ever so slightly with the jeweller’s rouge for a nice gloss. Of course the painting process is a bit more complex if the car is two toned but by masking off one section at a time that can be done. 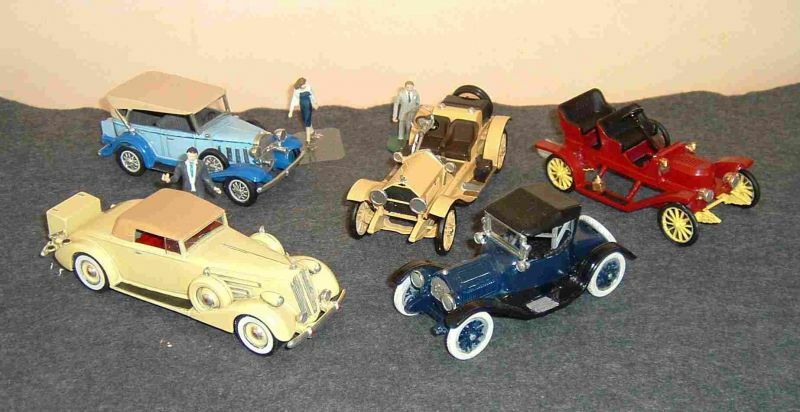 A few words of caution: Not all these Danbury Mint models are exact 1;43 scale so if you are a stickler for scale ask the vendor to measure the model before you bid or purchase. Some research in my books would tell me the wheelbase of the real car so I would inquire as to the wheelbase. Otherwise the accuracy of the replicas is quite good. 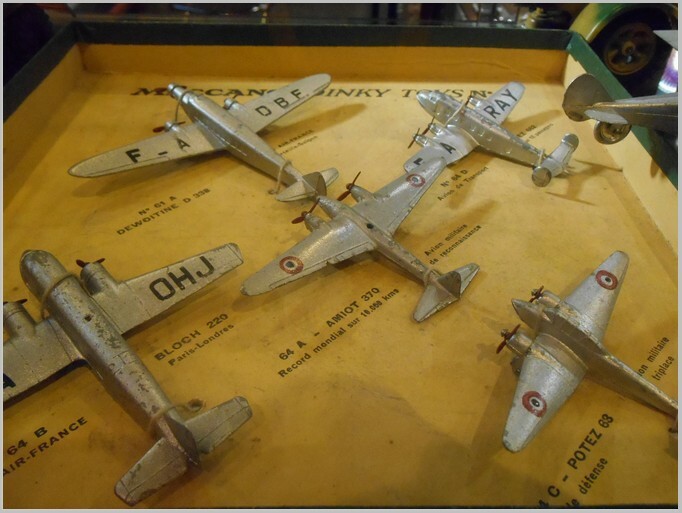 Some may be a bit distressed as they may not always been in the hands of dedicated model collectors since new. 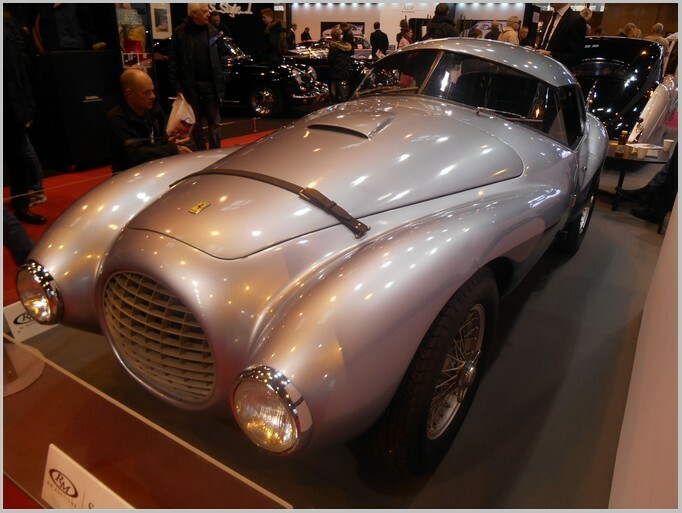 I find, however that pewter is a pretty forgiving material things like bent windscreens frames, wheel alignments can be corrected with some judicious bending. The Cormorant hood ornament on my Packard was beyond salvaging but I was able to make a new one from scratch with some shaping of sheet aluminium. 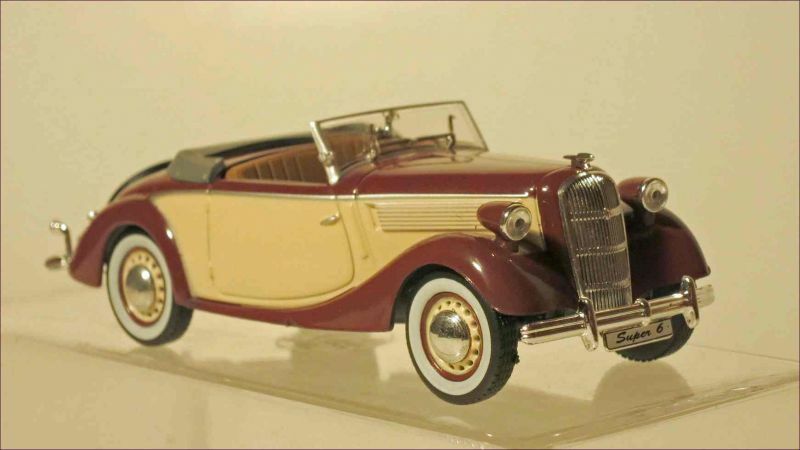 The wide whitewall tires typical of this class of car from this era were made from white package address label paper cut to size with a compass with a sharp blade an old trick I learned decades ago from my mentor in model building and customizing, the late, great Bill Harrison. 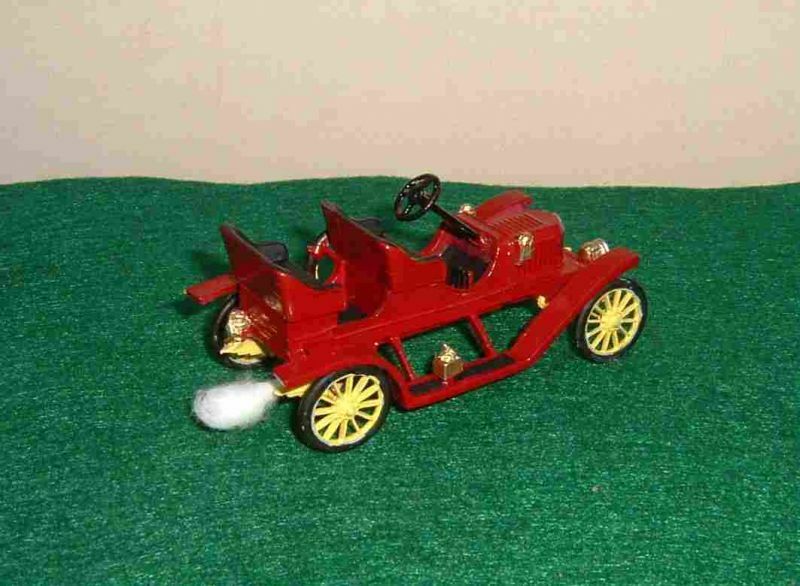 1909 Stanley Steamer with steam effect. 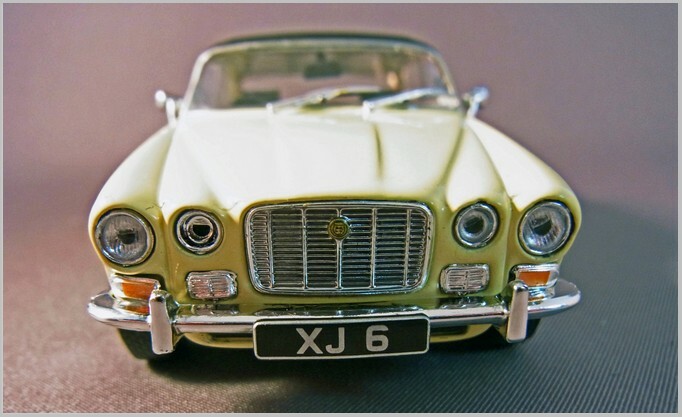 The latest model in the Atlas Jaguar collection has just been issued. 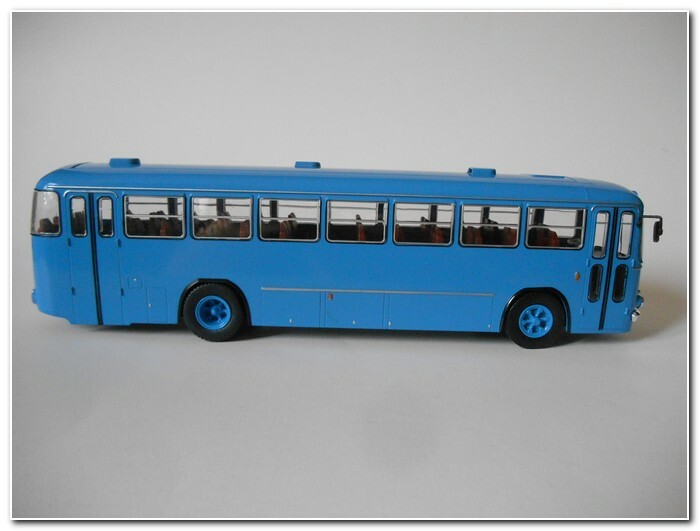 Again a model to 1:43 scale diecast by Ixo for Atlas in China. 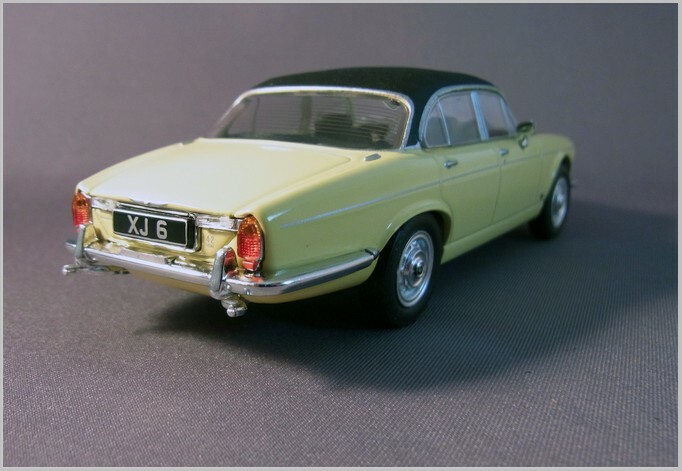 The Series I XJ6 was the culmination of years of steady development of Jaguar cars and when it was launched the motor press was full of articles claiming that this was the best car in the world with its excellent ride, handling and performance. It was available at the launch with 2.8 and 4.2 Litre engines and of the nearly 80,000 sold only about a quarter were fitted with the 2.8. The 4.2 was capable of 120 MPH and of cruising comfortably at over 100. Atlas has decided to have this model made in pale primrose with a black interior which was one of the colour schemes available in the UK. 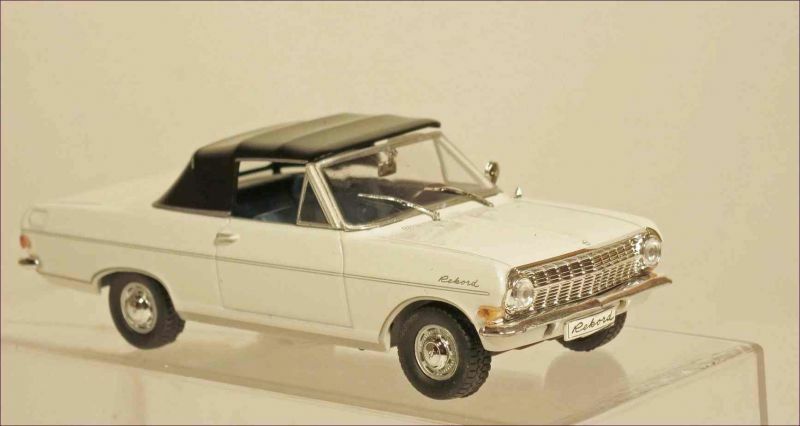 Unusually they have chosen to model the car with a vinyl roof and fabric sunroof which is a genuine set of options. The primrose yellow paint is well applied. Yellow is normally a very difficult paint to apply but it is not too heavily sprayed and the panel gaps are clear without too much thinning at the edges. 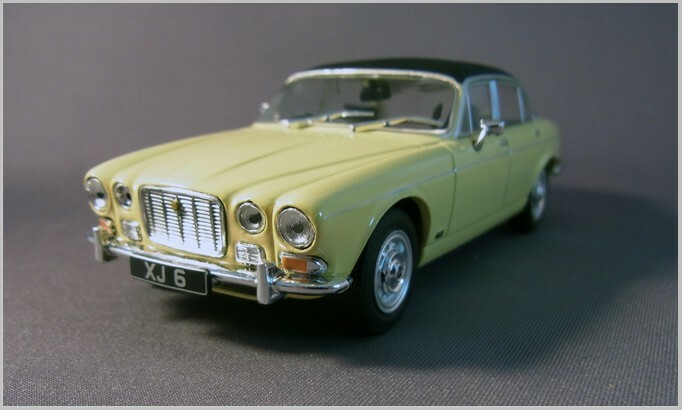 The Corgi Vanguards model of the XJ6 is one of Corgi’s better ones and sets the standard which this Atlas needs to be judged against. Like the Corgi the Atlas has captured the shape well. Like Corgi door handles are moulded in and picked out by printing and both have separate mirrors fitted into the door. The wipers fitted to the Atlas are overscale plastic ones unlike the Vanguards which has underscale photo-etch ones so neither are as good as they could be. The Atlas wheels are different to the Vanguards’ but both styles can be seen on cars pictured on the web. The Atlas wheel finish is a little “plasticky” and the fuel caps are a strange shape and not as clearly defined as the Vanguards model. 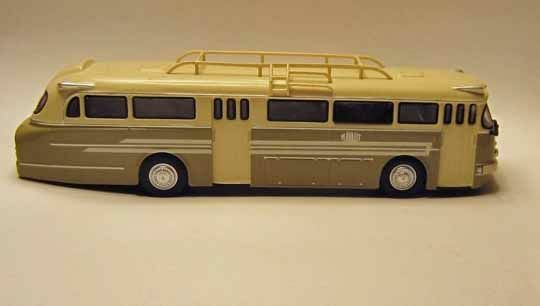 Unlike the Vanguards the Atlas model has a printed side trim line, but I believe that this should be a fine black coachline and not a wider silver one. Overall grille and lights are all very acceptable on the Atlas but are slightly finer on the Vanguards model. The side window chrome on the Atlas is well replicated by printing on plastic flush fitting windows which are moulded in sections and tightly fitted into the casting. Atlas interior has a nice wooden effect dash with instruments printed on but there is no wood effect door cappings leaving it in yellow metal colour which is wrong. The Atlas has heating element in the rear window and the optional sunroof. Overall I think that the Vanguards model is slightly better that the Atlas but it is nice to have both.